Do you want to use the most powerful social media channel for startup marketing? Is Facebook’s algorithm change the end of its use as a startup marketing tool? Can you get a better ROI from Facebook as a marketing strategy? All these questions and more will be answered on this blog, so stay tuned! #1 Video Marketing Is Coming Alive! And one of the biggest opportunities lies in live streaming of videos and the use of short videos. Research shows videos of 2-4 minutes can score record views, because they contain short, catchy messages for the Millennial audience short on time. Video marketing remains one of the hottest trends of the present times. The first thing you come across is the video; there’s a reason why videos have become popular on an unprecedented level on Facebook is none other than Facebook Live. As content evolves, the changing preferences of individuals are emerging rapidly. Long form blogs are being converted to short videos and v-logs or video stories. The value of Facebook lies in the amazing opportunities for video marketing. Ask yourself, if you were facing multiple demands on your time, would you prefer a lengthy social media post or a short Facebook video? The answer is obvious to anyone! Never underestimate the power of Live Marketing to gain an upper hand and create a level playing field for your startup. When done correctly, it can get you unconditional support and amazing fan-following for your small business. Fact: Facebook algorithms use 100K different signals to decide which posts deserve priority on customer feeds. So, how can you use this to your advantage? By realizing that no matter how great your content is, it can always be overshadowed. So, one of the best ways to get your message heard is to go LIVE on Facebook. Live features from Facebook provide a free pass to businesses and enable them to reach wider audiences. Host seminars, discussions, interviews or event and then use Facebook’s Live feature to reach a wider audience. Another powerful Facebook marketing strategy is through user-generated content. It’s always a wonderful idea for customers to interact with businesses. Because it triggers brand advocacy and makes your loyal customers into brand evangelists. Build a buzz around your product or service on Facebook by cashing in on user-generated content and word-of-mouth marketing. Ask happy customers to create content for you. This will speed up engagement and accelerate attention towards your Facebook business page. The more people talk about you, the bigger the buzz will be. Driving engagement with audiences is a powerful social media strategy. A good example of Facebook user-generated content is the catchy, engaging and humorous memes. The audiences can post viral memes and give your brand instant visibility. Come up with contests for posting photos and videos online. For example, a photography business could ask customers to take great shots and even make videos of these. This will draw engagement to the brand and help in gaining the audience’s attention. User-generated content is more than marketing; it is social proof. Paid ads are one of the key ways to achieve startup marketing objectives. But if you’re wondering how to market on Facebook without paying, this strategy may not work for you. For those of you ready to invest in Facebook ads, read on. Paid ads do not work for everyone. But for Facebook startup marketing, it ultimately boils down to the strategy’s ROI. Paid ads are actually very inexpensive, compared to other advertising platforms and channels. It can even help you to secure leads and gain the attention of target customers. #4 Begin a Discussion to Join the Conversation! Reviews: Carry out in-depth reviews of products or services on offer. Polls: Ask people for their opinion and make a name for your startup brand. Quizzes and Contests: Offer people a chance to win prizes through gamification and your brand will be the real winner. These methods also help in collecting data about customer personas. Study the habits, preferences, likes, dislikes, age, gender and other attributes of the customer. Customize your content based on the likes. 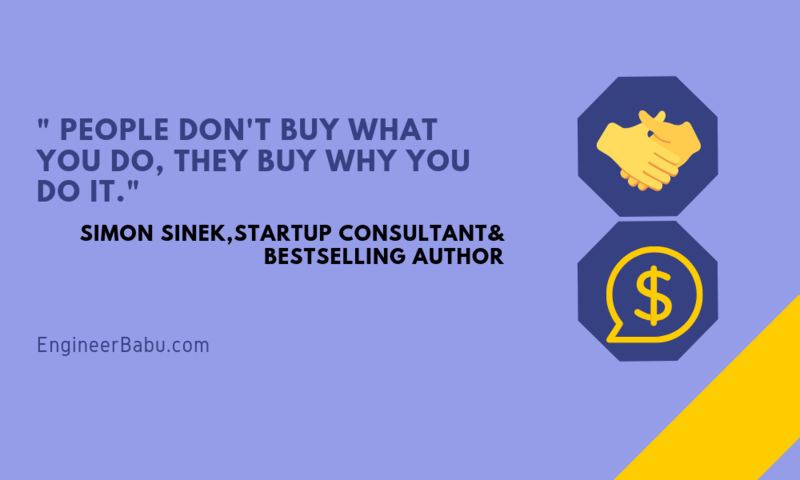 Why Market Your Startup On Facebook? Facebook continues to be a popular social media channel, even in 2019. So, the avenues for promoting your product and services on Facebook are endless. More than 1.8 billion people use Facebook each month to connect with family, friends and discover new things. Facebook has a large user base and gives you easy access to your target market. You can use tools such as Facebook Pages, Facebook Ads, and Facebook Groups to amplify your brand’s voice and build a strong story around your brand. It can help your audience to discover your startup. Further, it can also generate sales, boost brand awareness and secure revenue and profits for your startup. Facebook recently crossed 600 million, in terms of its user base. That’s not all! It’s adding new users at a rapid pace. Look at it this way: If Facebook were a country, it would have the third largest population in the world, after China and India. #2 Average Dwell Time of 55 Minutes! The average time users spend on Facebook is 55 minutes. Users, in fact, spend one hour a day on Facebook. Time is money, especially when you have the audience’s attention. Facebook has become an awesome platform for startup marketers to grab customer attention and leverage opportunities for success. #3 Average User Connection Count is 130! On average, every Facebook user has at least 130 users on the friend list. As more and more people are signing up for Facebook, the numbers are only rising. So, for every one viewer who spreads your message, you get 130x times the content amplification, on an average. Users don’t like hundreds of pages per month. A survey reveals that an average user likes 4 pages a month. So, customer engagement is all about standing out, which should be easy for startups known for their uniqueness and originality. To get to the 4% who have 10K followers or 0.76% with greater than 100K followers, startup business pages have to stand out, according to a study by Sysomos. So working on your Facebook marketing strategies for your startup could be really lucrative, if done well. #5 Facebook Ads Cost 25 Cents Per 1000 Users! Do the math and you’ll see it costs 25 cents to reach 1K users on Facebook through Facebook Ads. Compare this to USD 2.75 for Google and USD 32 for newspaper ads, and you’ll see why Facebook shines out as a paid advertising option. How to Stand Out on Facebook? Customization is the key to beating algorithms. 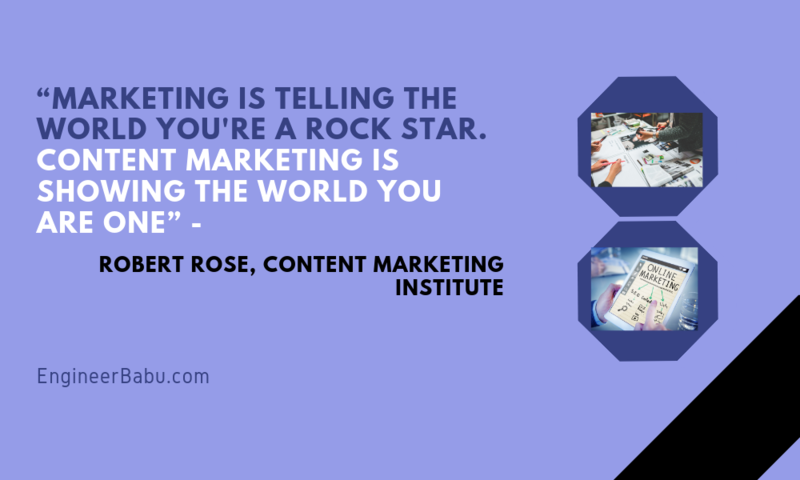 You need to tailor the content in order to stand out. Understand your potential lead’s past browsing preferences, shares, and likes. That way, the content will be visible to a large segment of the audience. Videos and images capture the reader’s attention the most. Content without both will simply fail. Engaging audiences is effective during holidays. Keep content crisp, catchy and engaging. If posts mention links outside of Facebook, it attracts huge traffic from the social media channel to your business page. Images posted directly on Facebook are more attractive than uploading them through Instagram. A startup is a growing business. But we all have to start somewhere. For most people, it begins with an idea. For most startups, it begins with a product or service people actually need. In act, the reason why 90% of startups fail is that the product fails to meet a need. No amount of good Facebook marketing can undo the damage of a bad product. CB Insights research uncovered how 42% of startups fail on account of this very reason. To avert this, research and work on customer feedback for a product-market match. For effective customer acquisition, look to Facebook Ads. In fact, this ad platform is one of the best consumer research tools in sight. Test if the idea attracts potential Facebook users using a landing page with a private beta invite. Launch a series of Facebook Ads focusing on the key problem you seek to solve. Use interests targeting to ensure you reach out to people whose problem you are solving. Monitor ads through CTR and landing page conversions. One of the biggest benefits is there is no limit to how much audiences can be segmented on Facebook Ads. You can consider demographics, connection, location or interests, and preferences and verify if your product indeed has an audience. From the idea to its actual launch, the journey is long. But one thing should be clear. Your product is for a niche audience. So, your Facebook marketing strategies for your startup should focus on this. On average, a user gets 300 to 700 marketing messages per day. Further, only 8% of net users account for a king’s share (85%) of online ad clicks. So how do you reach an ideal audience at this stage? The key here is to opt for targeted ads. Facebook targeted ads are twice as effective as their non-targeted counterpart. This reduces the chances of wasted advertising, so it is extremely successful. Remember that relationship building and social selling are effective strategies on Facebook. Connect for strategic partnerships and send a message request. Once the lines of communication are open, you can offer the solutions that will work. Go to Facebook Groups which are based on target customers and interact with people who actively post, comment or like there. Go to your community via your Facebook group and Facebook business page to contact a ready audience for your product. 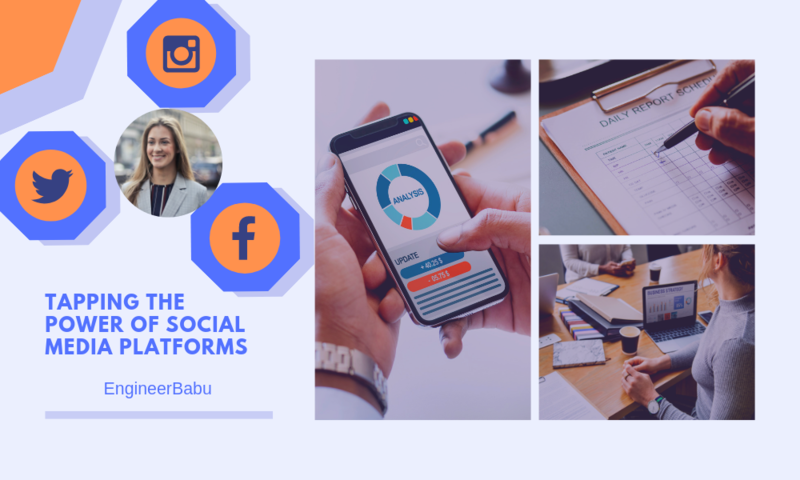 Focus on users who interact with similar companies on Facebook; connect with people liking, loving, reacting, commenting or sharing on the business pages of such companies. Use searches to find people with the ideal profile. Boost your content to reach a wider audience. Ask for referrals and seek loyal brand advocates among your Facebook fans. What it all boils down to is whether the Facebook presence you have invested in is returning solid ROI. To get rich returns, invest in useful content, active segmenting and use tools like Facebook Groups and Facebook Ads. You’ll be amazed by the number of follower counts and the kind of engagement Facebook still offers. 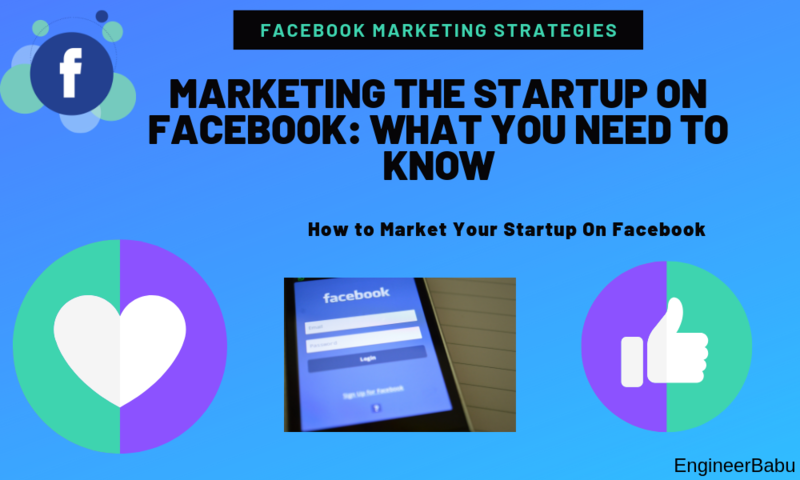 So, algorithm changes will come and go, but startup marketing on Facebook will be an eternal crowd puller for your products, your services and your brand! Do you see LinkedIn as just a professional networking site or a prolific social media platform? Are you aware of the potential of using a LinkedIn marketing strategy for your business? Do you know how to use LinkedIn for marketing your startup? To know all this and more, this LinkedIn marketing tutorial blog for your startup is a great way to begin! LinkedIn is more than just a social networking site that serves to connect job aspirants with employers or fosters strategic business partnerships. In fact, LinkedIn is widely used across the globe to seek employment. It is home to several recruiters. But it’s a whole lot more than that. With over 450 million professionals available on this network, it’s also an impactful marketing tool. LinkedIn connects individuals and adds tremendous value for startups looking to establish a firm foothold in a competitive industry. 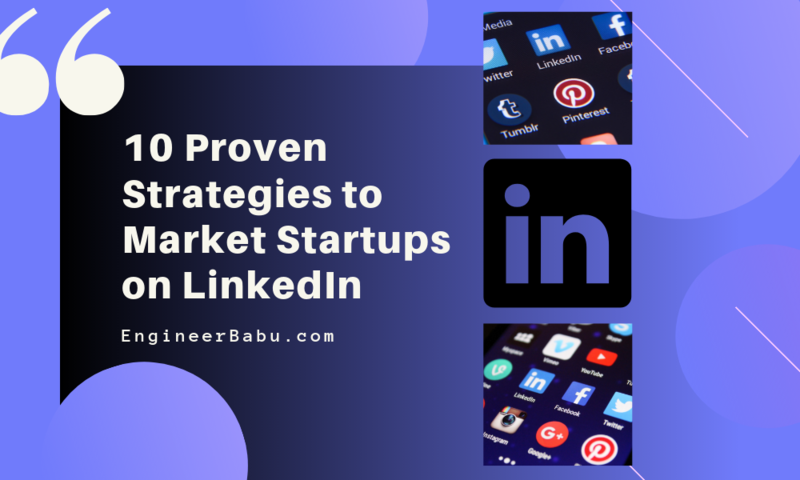 So, let’s learn all about the 10 proven strategies for marketing startups on LinkedIn and the benefit of tapping this network for strategic corporate partnerships. Right from Apple’s Tim Cook to Microsoft’s Bill Gates, everyone is on LinkedIn. So, if you seek to increase brand awareness, find leads and create connections to meet business goals, LinkedIn is your go-to marketing platform. LinkedIn can also be used for advertising and marketing, given its massive popularity among businesses both big and small. The social media channel is, therefore, great for B2B networking and gaining website traffic. You even get to follow industry leaders and get great ideas. But why is LinkedIn great for marketing startups? Besides the obvious benefits, there are many not-so-obvious benefits which we will now discuss. Why Market Startups On LinkedIn? LinkedIn remains the largest professional networking site across the globe, with more than 450 million users from 200+ nations. New users join LinkedIn at a rate of 2 per second. More than 39 million students and fresh graduates comprise the site’s most rapidly growing demographic. Millions of executives from the top Fortune500 companies can also be found here. Corporate talent solutions offered by this professional networking site are used by 94 of the top Fortune 100 companies. More than 1.5 million publishers use LinkedIn as a social media platform for sending content. For successful marketing, it is crucial to know the importance of media for raising brand awareness, besides proper brand positioning in the market. A startup has limited resources, but infinite needs and requirements, when it comes to marketing online. Even the most quality products will remain unsold if you do not know how to market them effectively. Hiring a PR agency can’t get you the type of media exposure LinkedIn offers. LinkedIn is the best, most cost-effective solution. Consider that over 94.2% of the journalists use this website. Business growth is stimulated by fostering partnerships. Partners can refer clients to one another and leverage the capabilities they have for a win-win outcome. Partnerships can provide a marketing boost as well. LinkedIn is perfect for finding startup marketing strategies to help your business grow. LinkedIn is excellent for finding customers for your business, too. A startup on the first step of its journey needs to examine how offerings are presented to customers. The very idea behind marketing is to foster brand recall and recognition. Persuasive marketing can make a difference to consumers, and, ultimately, your business profits. For startups, nothing can be more daunting than marketing. If you’re worried about how to market your business, LinkedIn status updates can inspire confidence. All you need to do is be regular. Make sure your status updates contain relevant content. Publish posts on your profile using LinkedIn. It can establish you as a market authority. Sharing views and meaningful opinions through LinkedIn marketing posts serve as a perfect launching pad for your startup. LinkedIn also allows posting of PPT presentations or even videos, thereby enhancing the attention span of followers. Don’t want your startup to blend in? Then stand out with endorsements from connections. Remember that recommendations have the power to enhance your startup’s profile online and build credibility, as well as brand authenticity. Publications are highlighted using active links on LinkedIn. That way, others can view the publication, whether it is an article, a blog, a research report, a white paper or even an e-book. Showcase all your marketing collateral such as online brochures and visual storylines using publishing options available to you. For startups joining the grind, generating a buzz can be really hard. So, how do you make it easier? One way to do this is to opt for LinkedIn Groups and have a finger on the market’s pulse. Create groups on LinkedIn and sustain viewer interest, along with business development and growth. This is, in fact, one of the first steps you need to take on LinkedIn for marketing your startup. Company pages serve as one-stop destinations for every fact you seek to highlight about your startup. Join associations and groups using company pages and highlight what’s so special about your startup. When you sign up on startup, the web address creates a random collection of letters. You can customize web addresses and link it to the name of your company. Don’t underestimate the power of branding through innovative URLs. Shakespeare once asked, “What’s in a name?”. Well, there’s plenty, if you are a startup! Become a recognized expert by putting up eye-catching, meaningful posts and participating in group discussions. Setting your startup apart from the average business is all about embracing innovation and establishing a stellar reputation online. To quote American motivational speaker, Eric Thomas: shooting for excellence is the only way to make sure you never settle for mediocrity!. Startups need to be phenomenal, not average! If one is into sales, targeting prospective clients using LinkedIn is the key. If one has an active profile on LinkedIn, common connections with the prospect can help your startup to build a solid sales pipeline. LinkedIn is presently is known for users who are professionals skilled at building companies and creating economic opportunities. LinkedIn helps startup marketers to understand how to make a connection with audiences, without spending a single penny. Not all marketing is paid. Every connection you built on LinkedIn does not require a marketing budget, yet it can help in spreading the word about products. By sharing content about products and industries, gaining attention is easier. Connections are an asset on LinkedIn for startups looking to market their products, services and, ultimately, their brand. Setting up company pages that rock, for your startup, are not exactly rocket science. While company pages are easy to set up, they come with an added bonus: Followers! You can gain followers and stay updated about products. By following your company page, prospects can signal their interest in your startup’s products and services. Additionally, company pages have features such as Analytics, which enable you to learn about followers. Further, Sponsored Updates help to promote posts that strike a chord with followers and lead to wider audiences appreciating not just your post, but also your startup. Showcase Pages is a company page feature to create highly focused pages for products or target market segments. LinkedIn company page best practices necessitate being unique and original. Don’t go for a tag-line that resembles a big brand, or you’ll land in bigger trouble (namely patent laws). Instead, highlight what’s so unique about your startup and why you are so special. LinkedIn automatically catalogs your company posts into relevant channels. This offers a chance to access millions of users for different topics, niches and segments. Even with a LinkedIn member account, the momentum you can build with a startup LinkedIn company page is simply incredible. After all, you do want prospects and users to discover your startup, learn about job openings and establish your brand in the market, don’t you? Shine the Spotlight On Your Startup Brand! An extension of the Company Page is the Showcase Page on LinkedIn. These pages specifically spotlight the brand, business unit or initiative. Creating pages for different aspects of the brand with messages and audience segments is vital. Further, special content can also be targeted at audiences with a potential for offering solid returns on investment. Still not convinced? Then consider that companies like Microsoft, HP, Cisco and Adobe use this LinkedIn feature! LinkedIn is not just about making connections, it is also about leveraging your network. If you can highlight content that proves you are a trusted expert in the field, you can gain authority in the market. LinkedIn is about promoting your startup by building a sense of community. You can even connect with mentors who can help you to market your startup. LinkedIn is one of the most valuable, priceless tools to leverage, representing a goldmine of opportunities startup marketers can bank on. Showcase why your startup is a valuable addition to the industry in the profile and first line description itself. You don’t get another chance to make an awesome first impression! Your company photo or logo should look friendly and approachable. Never underestimate the power of compelling visuals to communicate a strong marketing message. As results pages, mobile and small screens highlight only the first line of a profile, you need to be clear about what you want potential clients to take away from the first line. Make it count. Don’t use meaningless words or vague themes. Focus on a professional, positive, driven, hardworking and professional approach in your profile. There’s a massive space on LinkedIn to showcase what your company does in the banner area. Use this space, because every bit of strong graphics and compelling imagery can be worth a 1000 words. The best relationships are those where you have something in common. For startups, it’s the zeal to do something different, the passion that defines your venture. To quote political leader Winston Churchill: we all make a living by what is received. We make a life by what we give! Nurture your company page to create value for potential clients and you’ll face an avalanche of leads in record time. Featuring a campaign line or brand mission could be just the competitive differentiator you need to stand out. Descriptive captions or headers: This helps readers to understand what the post is about. Eye-catching graphics: This serves to make your company page the best and unique from the rest! Hashtags: These boost the visibility of your content online. Bonus Tips: Use emojis, bullet points, color themes and even add RSS feeds to your content inbox. So, there you have it. LinkedIn is a powerful platform for marketing your startup, through its broad array of tools and equally impressive reach. LinkedIn is networking at its best without any pressures. The only thing worse than failing is not starting at all. Give this network the time, and effort you offer other social media channels and the returns will be simply awesome. The startup culture is so inspiring because it is built on networking, community, innovation and transformation – all that characterizes LinkedIn, too. It’s as Jeff Weiner, the CEO of LinkedIn says: Maintain a culture of transformation and stay true to your values. It’s not just about your startup, but about the entire industry. Let potential customers know you mean business, and leverage LinkedIn to inspire and innovate throughout your startup’s growth journey. Are you wondering which startup marketing ideas work best? Is your focus now on how to market your startup? Is your startup looking for some awesome marketing hacks? Or are marketing startups trends for 2019 a focus area? Perhaps you need to evaluate which business strategies for startups work best? Or what the go-to marketing strategy for your startup should be? If you have these questions, we have the right answers presented in this blog for you! As much as one might wish, starting your own startup is not an overnight phenomenon. After all, Amazon was not built in a single day! When it involves marketing your startup, what do you do when the ideas are big and the budget is small? Moving in the right direction, without spending sweat equity and crafting strategic campaigns is next to impossible. If you’re in business, these startup marketing ideas can be the way out. Other people will advocate and share your marketing messages only if they believe in you. So, how do you market your startup in 2019, when Millennial shoppers are discerning digital natives and the tech-savvy age has fostered a plethora of marketing tools and technologies? Startup marketing hacks can only take you so far. You need to invest time, money and effort too. For marketing your startup, your website is your 24/7 marketing platform. Business strategies for startups apart, utilizing the landing page or opt-in forms on the website is the key here. Offer potential subscribers and leads incentives for signing up. Along with networking and social media, marketing your startup is also about tapping the power of data, in the age of the customer. Content coverage should be wide and interesting. General niche areas are essential, but you need to write content relevant to customers. Post content readers would like to share with significant others. Do SEO research. Your blog should contain keywords that help it to rank above others. So, making the content friendly for users, as well as search engines is a must here. Consumers have a lot of questions, and if you can offer answers that resonate with the target audience, you can generate record views, phenomenal traffic and incredible sales. If numbers do the talking for you, consider this: Blogs generate 126% times the lead for startups that have one, as opposed to startups that don’t. For a large SEO footprint down the path, you need to leverage guest posts. Along with your startup blog, you need to reach out to noted bloggers who offer you a chance to write guest posts for them. Include the link to your business website once you craft a compelling and powerful piece of content for them, and watch the traffic flow in. #4 Don’t Let Leads Go Cold! Once the list of subscribers or leads is ready, make sure you send out updates and newsletters. This will keep customers interested and motivated to catch up with you. Include links to great content subscribers can follow and share with others. Use emails to further build engagement with customers. All the difference will come from making customers feel valued and appreciated. Social media is everywhere and over 2.4 billion users worldwide tap this channel. Your business should do so, too. For brands that seek to join the conversation, platforms like Twitter and Facebook offer incredible opportunities for growth. Your go-to marketing strategy for startups must include social media channels, therefore. But not all social media platforms are equal. Choosing strategic channels that yield returns on investment matter. Leverage social media in ways to amplify the content you create. Work on channels that really help your startup brand to grow. Post relevant content people will want to share. Engage with audiences by responding to likes, comments and shares. For visual products, Instagram is the perfect platform. LinkedIn and Twitter excel as channels for B2B marketing. Pinterest is another powerful image sharing site for visual products, as does Flickr. Facebook works best for B2C startups and Quora’s great for B2B lead generation. Often, the easiest way to go global on social is to start local, by making posts on local Craigslist communities and discussion forums. Local directories also serve as a useful medium for marketing your startup. Speak at local events like Chambers of Commerce meetings, rotary club events, exhibitions, conferences and corporate gatherings. This can gather a vast number of viewers in a remarkably short time. It can also establish you as an expert in the field. Promote your startup brand at crucial events by selling or giving away content. Online e-magazines and sites are a wonderful way to attract relevant audiences and target niches, whether you’re in the B2B or B2C field. There’s Hackernews, TechCrunch, Mashable, SpringWise, Crunchbase, VentureBeat, Vator, FeedMyApp, AboutYourStartup, RateMyStartup, AppVita, TheStartupPitch and StartupTunes. For a phenomenal audience reach, try social media channels like Reddit. Through word-of-mouth marketing, brand advocacy and referrals, you can easily generate up to 30% more leads for the same cash and traffic generated, according to research. Further, a staggering 92% of consumers base buying decisions on personal suggestions and recommendations. While PPC marketing remains an effective way to reach out, it requires a lot of money to test, learn and fine-tune campaigns. On the other hand, generating a buzz through brand evangelism costs nothing and is way more effective. Even in a wired world, connectivity is not the only target for startup brands looking to grow. 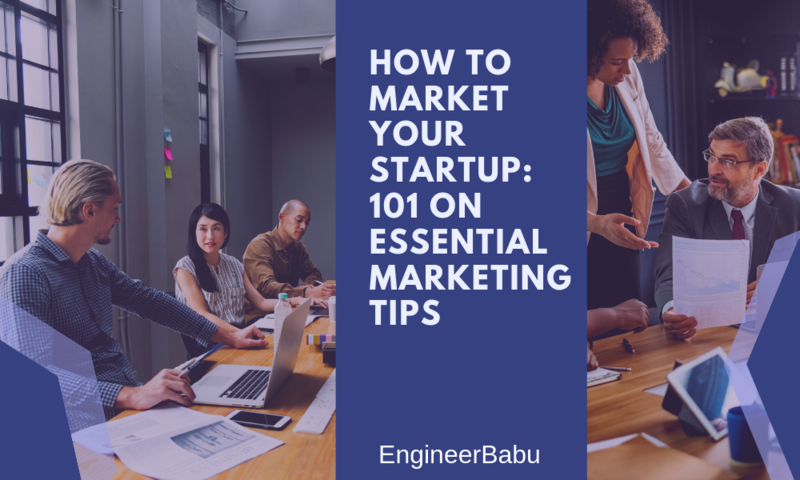 Essential startup marketing strategies must also focus on connecting individuals in ways that are rewarding, enriching and build credibility and trust in the brand. Online reputation management remains one of the most crucial startup marketing hacks out there. Want a good brand story to resonate with clients? Then, live up to your brand narrative! It’s as simple as that. Email marketing remains an essential strategy for low-cost, high-impact startup advertising. But even channels like these will only work their magic when you craft promotional messages that add value to the customer. Diversify your emails with non-commercial guides on how-to articles, infographics and even videos. Advertorial emails cannot boost interaction; building a compelling storyline can! For promoting a we-feeling, Generation-Me increasingly values local engagement and interaction. So, sponsoring a local event or social cause can especially help your startup to be discovered by potential prospects. Signs, banners, marketing collateral can be paired alongside the event to generate viewership and a solid sales pipeline. But do note that you should sponsor events relevant to your operations. Don’t let market share slip. Give users a sense of value through such community building initiatives. You can even create content targeting a specific niche audience for maximum impact. This strategy was effectively used to raise user count by Dropbox overnight. The founders created a Dropbox video, featuring memes and humor as an effective engagement tool. The result? The video went viral, launching the software in a big way and raising the number of people on the DropBox waiting list to 75K from just 5K in 12 hours. #11 Demonstrate How Effective Your Product Is….By Using It! For startups that rely on user input, gaining traction could be about demonstrating how effective the product or service on offer is. When Quora was a startup, its founder Adam D’Angelo was one of its biggest users. He answered a lot of questions to start with, setting the stage for more in-depth responses from experts. And the strategy worked! Quora is now one of the leading online communities for any kind of insight or input. Or in plain simple English, run a contest! Contests were successfully used by YouTube to don the mantle of the world’s biggest video sharing site. Their secret sauce was a contest offering free iPod Nanos to users who upload videos and invited friends. Facebook remains a powerful channel, where contests can even be held for free! If your startup is too small to draw big audiences on its own, rely on the star power of big brands. For example, with the launch of Android 4.4, its developers created a partnership with candy maker KitKat. Through the collaboration, each brand was able to expand its reach and grow to tap the audience of the other. A strategic partnership could be the key to winning the minds and hearts of the consumers, not just their wallet-share. Guerrilla marketing strategies like opting for a flash mob can be an innovative way to promote your brand. Think outside the box and choose an awesome site for the flash mob event. That’s all you have to do. As for the results, consider that department store Sears used a flash mob to promote their jeans giveaway and even got a viral video in the bargain. 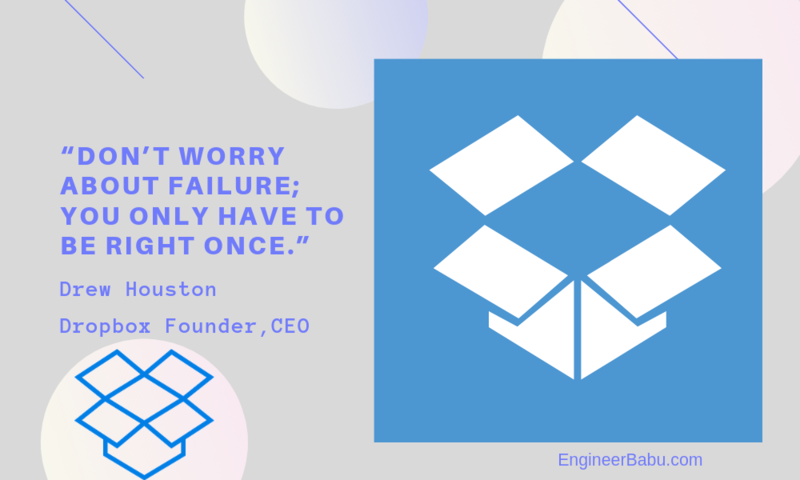 According to the US Labor Statistics Bureau, 50% of startups fail within 5 years. Cutting-edge ideas like these can help you to disrupt the market and get the agility you need to thrive, not just survive. #15 Don’t Just Sell…Engage With Customers, Too! Move past the urge to sell, and instead, engage with customers. Build a brand value and identity by showing support for online followers and communities. Share content that appreciates your brand. Share ready URLs, branded badges and innovative content can help you to carve a niche and build industry credibility. Marketing on a Budget? Here’s What You Need to Know! Brand advocacy, brand evangelism, brand ambassadors – the terms are many, but the meaning is the same: Your customers do marketing for you. It makes sense in a market where customers trust products referred by friends 4x times, as against staple, boring ads. Personal recommendations form the core of cost-effective marketing. Press releases remain an effective way to get your brand published in major publications and pick inbound links along the way. PR sites like SourceBottle and HARO/Help a Reporter Out are great for connecting with leads and journalists who will promote your brand for free! In the present digital age, there exist n number of ways to tap content marketing, such as podcasts, videos and infographics. Today, it’s all about optimizing for visual impact. Such content media have the power to enhance brand reputation, increase inbound traffic and complement other strategies. Spending a lot of time writing an article for your blog? Utilize some of it for SEO, then. Identify relevant keywords to attract massive traffic to the site with low competition. The site can be then tweaked to include such startup marketing strategies for growth. Whether you want to go viral or build a stellar online brand, these tips, tricks and strategies can help your startup to soar. In the words of marketing strategist Seth Godin, when your startup seeks to thrive in “a crowded marketplace, fitting in is a failure.” So, work on a go-to-market strategy that sets your startup apart. Because success in startup marketing is all about standing out, not blending in! Looking to start a startup in the United States? Are you in search of the perfect startup opportunity? How easy or hard is it to open a business in the US? What are the basic procedures involved? What strategies can help you most? All this and more will be answered today on this blog, where we cover how you can start your very own startup in the United States! 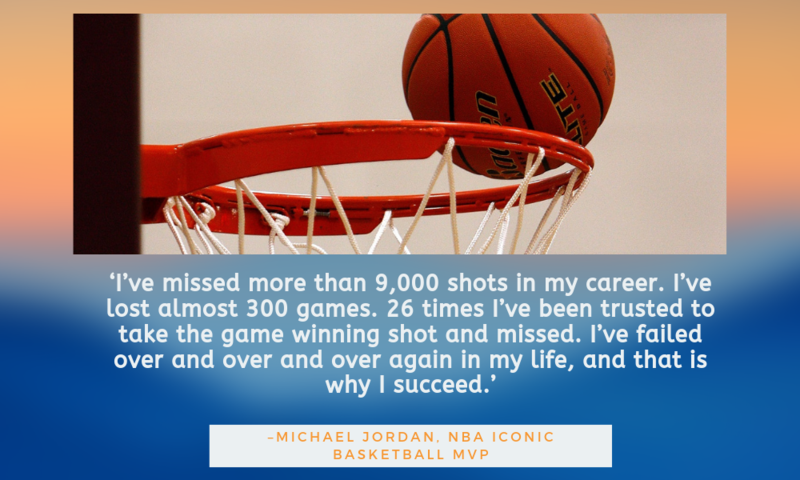 Failure can easily be the stepping stone to success, especially in the business world. For a game-changing startup, a lot of aspects need to be looked into. There are so many things you need to watch out for, too. You can open a business bank account in the United States. You can access US payment processing accounts like Stripe, Amazon FA and others. You’ll enter the profitable US market. You’ll also brand your startup on a global scale for US-based and international customers. If you’re a non-US resident or non-US citizen, starting a business in the USA for foreigners is easier than you think. It’s not crucial to be a citizen or an American resident or even hold a green card to start a corporation or an LLC in the United States. 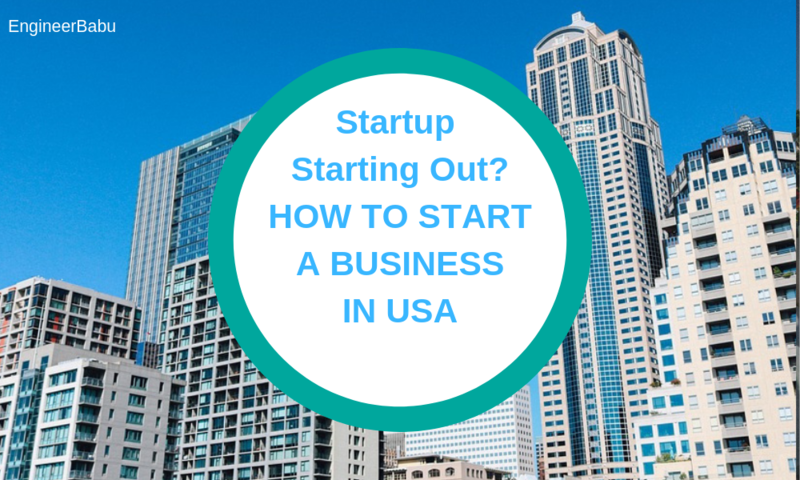 Walt Disney remarked that the best “way to get started is to quit talking and start doing.” So let’s dive deep into how to start a startup in the United States. Starting a US-based startup as a foreigner requires hard work and preparation. However, it is easy to register your company and open a business. The primary step here is to decide which structure your company will opt for. Most foreign nationals choose C-corporations, as these expand through unlimited stock and are attractive for external investors. The downside? Profits are taxed twice as dividends to shareholders and at corporate levels. The advantages for corporate shareholders include lower dividend rates. As long as the US company is not holding real estate, the corporate parent company won’t be shelling out capital gains while selling the startup. The structure, further, shields business owners from direct tax scrutiny. However, for this shield, owners are doubly taxed. However, salaries, pensions, and other expenses can be used to lower corporate income and eliminate double taxation. A limited partnership is the best business structure based on the particulars of tax laws. A limited partnership offers limited liability for partners without management control. Further, profits are passed onto members. Therefore, you need to take care in choosing the right business structure, for it influences everything from everyday operations to taxes, assets risks and much more. These are the best choice for residents, as well as non-residents. LLCs are, in fact, the most common business type in the US, especially for non-residents. The key benefit of an LLC is that it protects personal assets from lawsuits and business debts. LLCs also offer simpler, and more affordable structures for taxation purposes. This is because it follows a pass-through taxation system, whereby earnings pass through to personal income taxes and you save on filing costs. Especially if you’re starting a startup alone, and making less than USD 80K annually, this is the corporate structure you should choose. C-corporations work out better for investors, as investors hold shares without bothering about tax issues until they sell later down the road. Those who seek to transfer shares to investors or company employees easily should definitely opt for this company structure. For US residents, this corporate structure is the best choice. It is an eligible domestic corporation that avoids double taxation, unlike C-Corporations. This type of company is not permitted for foreigners. However, for American residents, it is a perfect choice. For those making more than USD 80K per year, S-Corporations are better as a tax-saving device. With S-Corporations, self-employment taxes can be avoided saving 15.3% of the income. The difference between LLCs and S-Corps is the pass-through tax. For LLCs, taxation is either at the federal level for sole proprietors or partnerships for multiple levels. Money gained or lost by the LLC passes onto personal tax return and is taxed there. With S-Corporations, salaries can be disbursed as a tax saving device. However, non-residents cannot be shareholders for S-corps. Sole proprietors are the simplest business type and do not require formal filings. Businesses are automatically considered as a sole proprietorship when business activities are undertaken, but no registration is carried out. The only issue? You’ll be liable for all business matters, which means your business assets and liabilities are not separate from personal assets and liabilities. So, if there are business debts or obligations, it becomes your personal responsibility to deal with these. For US residents, doing business in any other state outside of the state where there is actual presence means you have to register the business in the home state, too. You need to let home states know you are operating foreign LLCs in their state, so you will end up paying filing and annual fees in both the states. For example, foreigners can set up an LLC in Wyoming, USA and live anywhere in the world, while operating a business here. If your company operates in more than one US state, as a foreigner, you can incorporate the company in any of the states, but registration is essential to do business in other states. This involves a process known as Foreigner Qualification. An LLC or C-corporation formed in one state and incorporated there must qualify as a foreign corporation in another do legally do business there. So, it’s not as simple as it looks! Company principals choose a unique name. They select registered agents to receive legal papers for the company. In certain states, a company with a physical address can serve as its own agent. But in other states, like California, this is now allowed. – name and mailing address of incorporators. Once the business is incorporated, a report is filed and a franchise tax is paid. LLCs, as well as corporations, must have a registered agent with a physical address and not a postal office box, during normal business hours to receive critical business documents. Registered Agents receive legal documents and official papers on behalf of the company. They must be located in a state where one registers. Registered agent services are generally preferred, as you cannot use a mail forwarding or PO box service. Additionally, the registered agent’s address cannot be your business’s legal address or even mailing address. Must be present at the address during business hours. Must have their name and address kept current with the state. Must be okay with their address becoming public and searchable. Shop for registered agents, most of whom levy fees from USD 50 to 100 annually. This is a recurring fee which must be paid every year. How long it takes to register the LLC or corporation is based on the state where the business is formed. It can take anywhere from a single business day to 4 weeks, based on which state to form the business entity and how long the Secretary of State processes your request. Patience may be a virtue, but speed is of the essence in the startup industry. So make sure you apply ASAP. To hire workers, open bank accounts, pay your taxes or get a business license, you need an Employee Identification Number. Apply for this number with the IRS directly online, for best results, provided your company’s principal officer has obtained a separate TIN or Taxpayer Identification Number for the agency. When the TIN is missing, you need to apply by mail or fax and enter “foreign or none” for the TIN number. EIN is also known as the Tax ID number and is issued by America’s IRS to identify the business. It’s like a social security number for your business. Whether you want to start a business, open an account, apply for permits or licenses, hire employees and file taxes, you need an EIN. US citizens with social security numbers can apply online for EIN. Most American banks require a US mailing or residential address for opening a bank account. Your company or startup can also provide a business address for this purpose. US-based mail forwarding services can help you if you don’t have the physical presence in the US. These service providers scan regular mail and send you emails which can then be forwarded to international addresses. Additionally, Form 1583 needs to be submitted from the USPS to authorize services to open your mail. For forwarding mail to the mailbox, you need to submit a change of address request to postal authorities. Once you receive your EIN, only then can you open a business bank account. To open a bank account, you need to personally visit the bank branch in the US. You can open a bank account for your business with your existing bank if you have a personal US-based bank account. Opt for leading players like BoA, Citibank or Wells Fargo for the best outcomes. Make the US bank branch in your nation provide an in-person ID check required by the Patriot Act. Another option is to fly to the US and open a bank account in person, whereby you can even open a business bank account in another state than the one where the company is incorporated. You will need to provide a copy of articles of organization, ownership/operating agreements, passport and EIN letter from IRS for processing the bank account. Some banks also require TIN if the SSN is not there. If you need a TIN, opt for ITIN services. Yet another option is to use online payment system Payoneer which allows the opening of a virtual US bank account to accept payments from US companies. It also offers prepaid MasterCard and the ability to accept ACH transfers from US companies. The cost of opening a business merchant account is free. Once you receive the EIN, you can open a Stripe account or opt for other options like Authorize.net and Payoneer.com. Merchant services accounts can allow you to accept debit and credit card transactions from international US-based customers. PayPal requires an SSN number, so it’s a great option for US residents. Some businesses are statutorily required to make sure business and personal assets are protected through insurance. Further, the federal government requires businesses with employees to have unemployment, disability insurance, and workman’s compensation, besides additional insurance. Laws for insurance vary across states. For non-US residents without an SSN, an individual tax identification number is issued. ITIN is the personal tax ID number issued by IRS which requires individuals paying US taxes without SSN to fall into the system. All US banks require ITIN or SSN to open bank accounts. 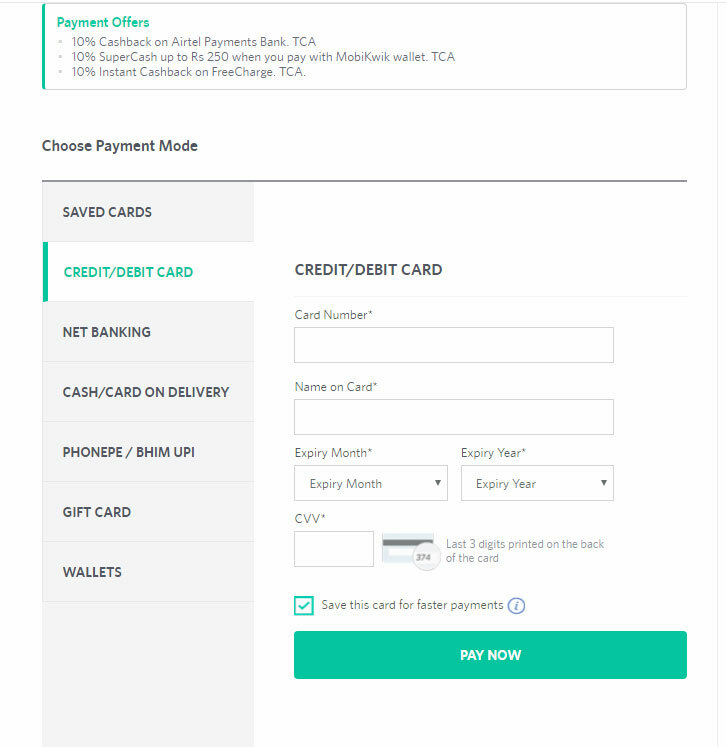 Additionally, ITIN is essential for PayPal or Stripe accounts, mortgage, and financing, apartment rental, complying with US federal tax for earning income in the US, filing tax returns if taxes are owned or even helping employers to get a job. In this context, LLCs have a benefit because they are not directly taxed. For being taxed, you need a dependent agent which furthers your business in the US, as against administrative agents., along with a US-based office. When you work and pay taxes in your home country in other cases, tax treaties will circumvent the US rights to taxation. All foreigners with LLCs must file 5472 US tax returns for disclosure, though, even if they don’t own taxes. This is for companies with reportable transactions like the exchange of money or use of LLC properties by foreign owners/related parties. Annual fees should also be paid on time. To race past competitors, startups need to start out with confidence. Starting out is important, whether it’s writing the first line of code, sketching the product, registering the domain or designing the prototype. Besides this, you need to know how to sell differently or better, rather than just selling something new or revolutionary. Sam Walton of WalMart, for example, sold items you could find in a convenience store and made a success of it. Entrepreneurial innovators are few and far between. The key point is to start selling, even if your product is not the next big thing. Hire affordable talent. For this, remote workers could add enormous value. Find a co-founder who is as hardworking and passionate as you. Venture capitalists, angel investors or PE firms are likely to invest in startups with a co-founding team, rather than just an individual. Don’t focus on just cash, because quality solutions will earn you a steady income. Whether it’s funding, capital or business lending, or even pricing models, you need to move past the dollar bills and see the growth potential of your firm. Marketing is essential for selling your product in present times. Even the best products require marketing. A startup is about understanding what your customers want. Your business can either survive or thrive depending on receptivity to products or services. Starting fast does not mean scaling fast. Have the tenacity, persistence, and grit to persevere in the face of obstacles. See each hurdle as a challenge and an opportunity for growth. As Tony Hsieh, the CEO of Zappos says: Chase the vision and not the cash; the cash will then end up following you! What are some of the significant advantages and disadvantages of hosted platforms like Shopify? Is a hosted platform an ideal solution for my business? 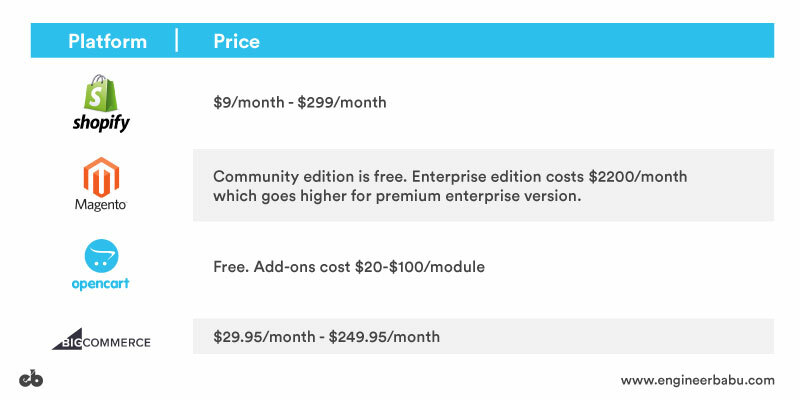 How does the pricing structure of Shopify compare with other hosted platforms like WooCommerce or Volusion? Is Shopify ideal for my business? Is Shopify efficient and reliable? Stay tuned as all these questions will be extensively answered in this blog. 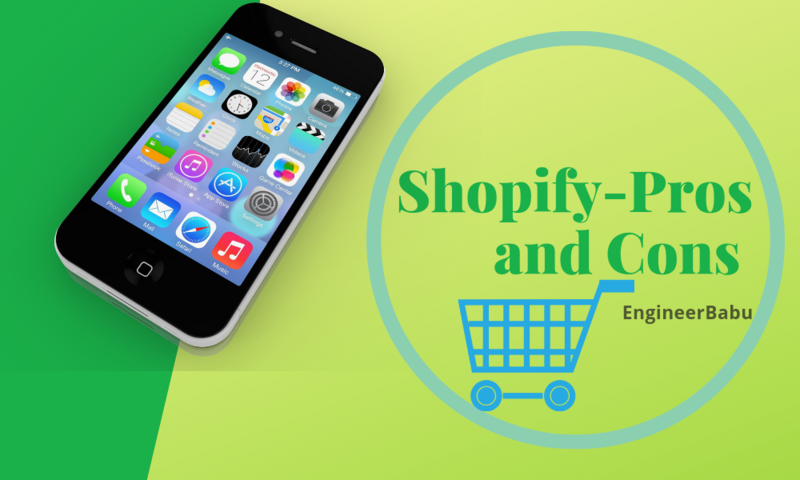 Undoubtedly, Shopify is an excellent eCommerce platform for businesses that are looking to build an online store. Being an outstanding platform doesn’t mean it is ideal for every business use case. There are certain limitations that platforms like Shopify have which must be considered before finalizing on the most appropriate one. There is a constant debate amongst eCommerce enthusiasts regarding which platform is the best-suited for any business. So, let’s mind our own business (literally!). Now, let’s have a look at some advantages and disadvantages of Shopify. We will also be covering what business use-case should opt for hosted platforms like Shopify. NOTE: This review is unbiased and is based upon evaluating several parameters to present our readers with valuable information regarding its primary advantages and disadvantages. One doesn’t need to worry about a damn thing if one employs Shopify. The primary goal of any business owner is to increase sales without being bogged down by technology and other administrative tasks. Businesses generally avoid wasting their valuable time on handling technology when they can focus on making sales and acquiring clients. Thus, the significant advantage which Shopify provides for such businesses is overall assistance in managing the store’s technological requirements. Shopify also provides a clean and crystal clear interface. Shopify has a “Buy button” functionality which let users use Shopify as a ‘Point of Sale (POS)’ or ‘Inventory’ option. This allows customers to simply click to buy your products across multiple social platforms online like Instagram, Facebook, Pinterest, WordPress, and Tumblr. This sort of functionality would take-up a lot of time for self-hosted platforms to implement, whereas it is readily available in Shopify. Customer service can be touted as one of the primary reasons that customers love Shopify. When you opt for building and running your store all by yourself (with something like WordPress and WooCommerce) you don’t have anyone to turn to when things go awry. The developers charge a bomb in consultation charges, and online forums are often unresponsive. Shopify has an enormous database of FAQs, email & chat support, along with phone support, most importantly with a knowledgeable rep on the other side. When you are focused on running your eCommerce store – this safety-net of continually having someone at your back with answers is worth the Shopify subscription price alone. So on this point, Shopify especially shines. One of the significant challenges of running an online store is that you have two requirements from your host – Firstly, you need it to be screaming fast, and secondly, super secure, if you are processing credit cards. Several studies conducted over time shows that a customer will wait utmost 4 seconds for a site to load before leaving. Basically, for every 1/10th that a customer expects for your page to load is a second that they might instead leave and go to your competition. An efficient all-in-one solution like Shopify streamlines the security and compliance side of the business and covers a whole range of issues like hackers, compliance, caching – which often comes up with hosting an online store. Shopify pays bounties to Cybersecurity experts to hack-proof their systems. There are a variety of factors that go into website speed, and Shopify can handle speed & security efficiently and effectively. They provide 100% SSL, keep their sites fast, and at the same time integrate with payment providers well so that one always get paid, and customers are never waiting for the page to load. Among Shopify main advantage are the beautiful storefront themes they provide. They can design your website to look elegant and professional, which helps in retaining customers. They boast a wide range of design templates for almost every business needs like Jewelry & Accessories, Tech, Art & Photography, Food & Beverage, Furniture and so much more. Each theme is carefully designed catering to the desired audience. You have the option to filter them and choose whether they are mobile-only or responsive as well as use free or paid themes. Apart from their core features, businesses can now download hyper-specialized apps which plugs-in to your Shopify platform and provide you with the desired feature. This makes the platform light-weight and at the same time provides the required features which cater to your specific business needs. Shopify, by default provides the platform with a list of core features, additionally it enables developers to offer specialized products that plugin seamlessly with Shopify platform. Some of these apps are paid while most of them are free. Let’s have a look at some of the best Shopify apps which can help in increasing sales. OptinMaster can be touted as one of the best Shopify apps out there. It is an instant way for businesses to generate leads and increase sales. Optin has proven to instantly increase sales of business like Cosmetic Capital by 300%. Targeted promotions (like free shipping banners, sales, etc) to visitors based on device, referral source, onsite behavior, and location. Integrations with your popular email marketing, CMS, and CRM platforms. Reducing cart abandonment by gathering email-ids or showing an offer just before visitors leave website. Referral Candy is a top-notch network marketing application available on the Shopify app store. It gives customers incentives to refer to their friends. There are multiple options of reward selection, which can be availed in any form. Their system includes automatic reward delivery, referral reminders, and dashboard where one can track referrals. This app is our pick for one of the best free Shopify apps because it helps you find, troubleshoot, and fix SEO (Search Engine Optimization) issues, so you drive more web traffic to your eCommerce store. This free application automatically looks for issues with page titles, Meta description, focus key phrase, speed, structure, and more. It also includes code snippets which you can use to fix any problems yourself. There is a pro version which cost $20/month and provides additional features like structured data support, bulk editing, and multilingual SEO. Printful provides on-demand designs for merchandise such as T-Shirts, bags, mugs and a variety of other products. They possess in-house designers who can help create products for you. In this way, you don’t need to warehouse your own product and can simply appoint Printful to do it for you. Printful directly takes orders from your store ships them out. There is absolutely no hassle of managing inventory or print-shipping labels. Chimpify is an all-in-one marketing platform for businesses of all sizes. It helps users to design websites, call-to-action and landing pages. Chimpify also provides statistics of the evaluated data. Not all retailers need or even require email marketing for their business, but some can’t possibly go without it. It’s not a core feature of Shopify – but Chimpify integrates itself seamlessly with Shopify to provide all the above services. With such setup in place – one doesn’t have to be bothered about finding developers every time if you want a specific feature. Some sort of application may probably be in the App Store, which is a lot cheaper and works exactly as advertised. Over the past few years, the app store has turned into one of Shopify’s “hallmark features” that puts them way ahead of their direct competition. It is not even fathomable for other platforms to pull this off correctly, but Shopify does it so efficiently and effectively. They have a business development team that works explicitly on developing new apps and bringing new developers to solve problems. Their App Store is a huge pro for the organization with different needs. eCommerce platforms majorly acquire customers through online search results. For Example, Amazon gets 2.25 Billion Search Results online, and if you are a beginner in this domain SEO becomes even more critical. Understanding the buyer’s persona for your particular business use-case is immensely important for converting a lead to a customer. A user would generally follow a designated pattern of writing to search for any product online. Google usually takes three days to update your schema. So, if your schema is set at $100, and your product is priced at $70. You’ll likely lose customers because people generally click on the lowest price amongst options. Thus, it is critical that your schema updates in real-time ai.end the changes in price are exhibited as soon as modifications are made. My customer, James, was losing $1000/day due to bad SEO! James owns an eCommerce website where he sells electronics. He gets 2000 inquiries in a day with an average order size of $100. James wasn’t even aware that he was losing $1500/day because of bad schema. His schema took 3 days to update during which he lost 30 customers costing approximately $1500. Customers deviated to a cheaper option witnessing higher price at James website. I am sure you would visit the website quoting the lowest price. After all, a good deal is like money right in your pocket. 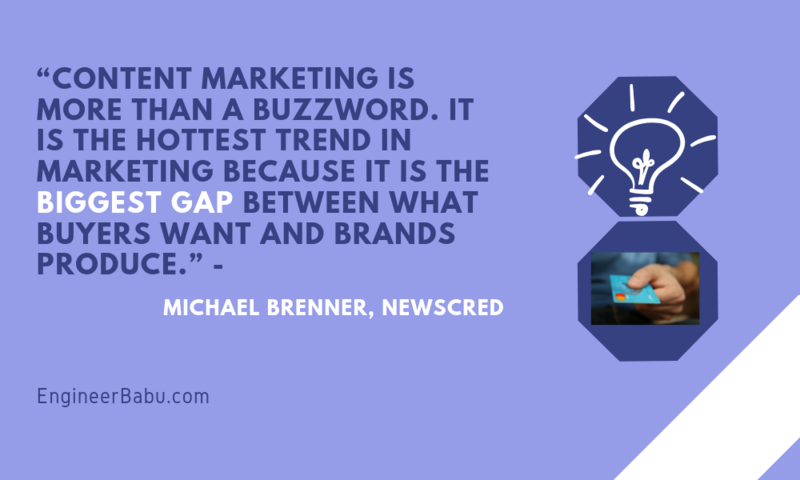 Content marketing is an excellent medium for marketing for eCommerce stores. You can not only grow your brand and educate your customers, but also boost organic traffic and increase social shares. The Content Management System (or CMS) of Shopify doesn’t let business owners publish rich content like blogs or vlogs. Although it possesses its own blogging platform – it is not the greatest, especially if you are used to WordPress. It may get the job done but it definitely needs to be improved upon. Besides, exporting blog posts is not a pleasant experience on Shopify. The blog layouts in Shopify are quite limited, so if you want to do something unique, you’d have to set it up on another blogging platform like Tumblr, and then run it on blog.yoursite.com. This can be a hindrance for the business owners who want to promote their products through content. A good CMS is therefore critical to ensure effective marketing for your eCommerce website especially if content is your go-to marketing strategy. eCommerce solutions like Shopify and BigCommerce are perfect for small businesses considering their modest expectations in terms of sales and profits. An online shop built on Shopify will witness scalability issues in the long run. As soon as your customer volume and transactions start increasing with time – You will need to switch to better solutions, as Shopify might not be able to cater to your expectations. Most of the hosted solutions including Shopify cannot efficiently handle eCommerce stores with millions of customers and a wide range of products. While growing an online store requires scaling many metrics and areas including handling traffic – Many other parameters break down very quickly when you use a system like Shopify. The underlying architecture is simply not equipped to handle these use cases, and most importantly the plugins built for it are significantly worse. Besides, you will likely hit a brick wall at some point where you will require a complete revamping due to these inherent limitations. Let’s take a perfect example of two products A, and B. They both have almost similar specifications. They get featured on TechCrunch as the best product ever made. Thankfully, the team was expecting something like this, and they kept an inventory of 100,000 of both product A and B. They seem to be doing pretty well and by selling 20,000 units/day. Everything seems to be working like a fairytale. Unfortunately, they are about to run in some major issue. Some customers start requesting switching product A for B. The accountants are unable to work as they aren’t equipped with a cost of sales or even a profitability chart. Due to mismanagement, the warehouse team starts making mistakes by shipping by sending orders to the wrong customers. Some customers receive both A & B and some none! How can Shopify resolve these issues? The answer is NO. Shopify isn’t equipped with any built-in functionality to address such issues. Not even third party integrations can solve the purpose, and they eventually hang. If Shopify breaks down even in such trivial use-case with just 2 products – There is no possible way where it would be able to scale up when your business grows to accumulate millions of users and thousands of daily transactions. These restrictions in terms of design and code change are bound to surface. Thus, to avoid the frustration and keep future expansion in mind, entrepreneurs generally choose to keep control in their hands by investing in custom solutions. 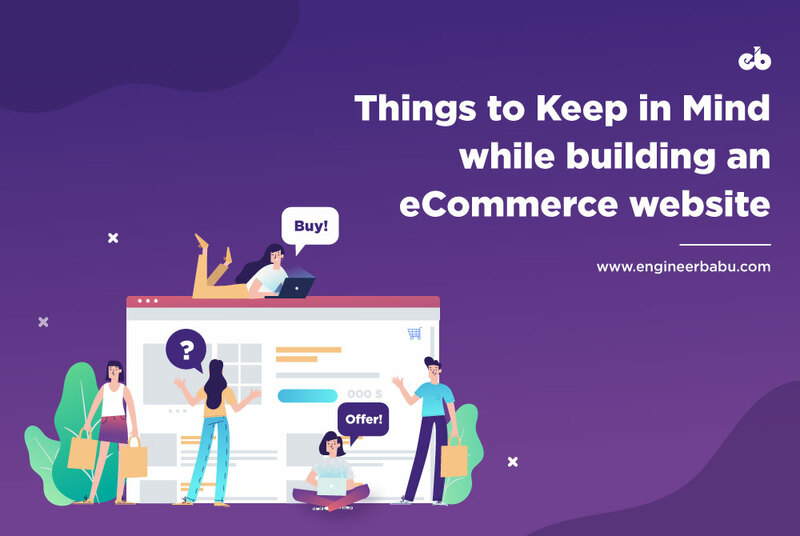 Hence, for someone who is looking to build a big ecommerce brand, partnering with experienced ecommerce developers and working on a custom ecommerce solution is the right strategic decision. Shopify search mechanism isn’t as efficient as it should be. In fact, a majority of users operating on Shopify platform aren’t content with the search solution that comes with out-of-the-box version of Shopify. When you search for a “sneakers’, you will get back a listing of “Sneakers”; what you don’t get is the option to further narrow down your search e.g. the ability to narrow your search to only red sneakers. Besides, if you tried filtering down to red sneakers you’d be filtering across all products and not just sneakers. Additionally, Shopify’s out-of-the-box version provides only basic search functionalities that does very little to assist the user. For instance, if you type the name of a product incorrectly, there are no results and no corrections, plus there are no suggestions whilst typing, which might otherwise avoid this scenario. Even as simple as Men > Accessories > Bracelets level can’t be built within Shopify. This is one of the major hindrances which Shopify users face with the platform. It is essential for online stores to organize their products in systematic hierarchy for SEO purposes, and Shopify’s inability to solve this anomaly efficiently is a major setback. Shopify can be undoubtedly deemed as one of the biggest and most successful eCommerce platforms out there. And rightly so, it has successfully been able to build customer trust in short time. But that doesn’t mean it is right for businesses of every magnitude. There are a few flaws which may mar business owners not opt for this platform. However that doesn’t deem Shopify as an inefficient platform. It is one of the best platforms out there for small and medium-sized business owners looking to start out in the eCommerce marketplace. It all boils down to the fact of what you are expecting out of this platform as no eCommerce solutions is perfect. Engineerbabu helps in creating custom as well as hosted eCommerce solutions for businesses of any size. We can serve as the middle ground for organizations looking to start in the ecommerce domain or ones who are looking forward to expanding their offerings. Why we say this is because we’ve efficiently helped our customers scale up their eCommerce website to handle millions of users. Take a look at our case study of our eCommerce customer “Ondoor,” who now have expanded their offerings to cover 70 cities across India. We can achieve this for you as well! Give us a call, and we’d love to guide you on this journey. Amazon is the ecommerce titan the industry has been waiting for. Net sales have been rising since 2014. In 2016, Amazon grabbed 70% of the total sales, and service sales have only been growing since then. 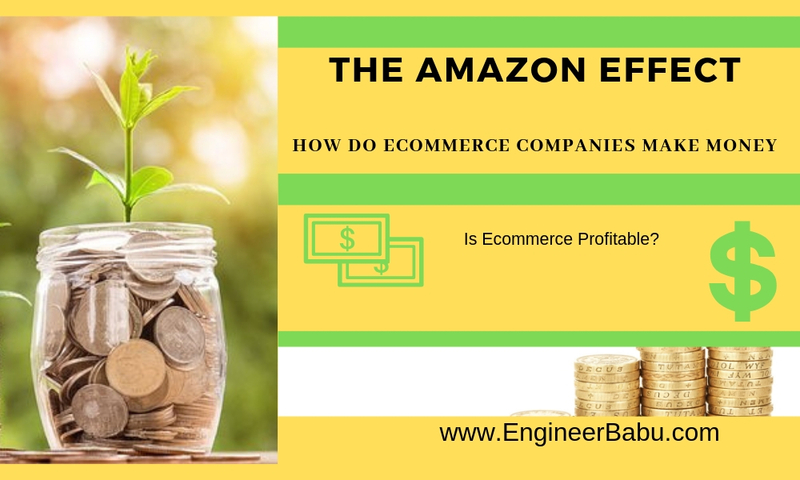 For all those wondering is ecommerce profitable, the answer lies in Amazon’s undeniable success, so much as that the “Amazon Effect” has even entered the lexicon of industry analysts. In terms of operating income, growth has been driven by high margins from service sales. Revenue sources, AWS services and Amazon Prime subscriptions have been rising at phenomenal rates, too. A revenue generation model is a critical component of the ecommerce business plan. Anybody looking to understand how to start a successful ecommerce business needs to understand that making money is the key to thriving and not just surviving. The ecommerce business model unlocks value and is the key driver of value. It makes all the difference between a unicorn and a failed startup. Scaling up to a billion dollar value is a dream come true for many ecommerce businesses. For understanding how to do ecommerce businesses make money, business models offer further clarity. Registered sellers can host products on the ecommerce platform for a fixed rate of subscription. Fixed closing fees may also be charged by the ecommerce company. Based on the product category, the company charges registered sellers certain percentage commission based on the value of the product sold. This commission generally ranges from 5 to 20%. Logistics and shipping are addition sources of revenue for ecommerce companies. The ecommerce brands like Flipkart, Amazon, Snapdeal, Myntra or even Jabong earn delivery and shipping fees. Justification for deep discounting of products for online retailers is that discounts are being offered, in turn, by the registered seller. The benefits of deep discounting benefit every ecommerce business from Flipkart and Amazon to Snapdeal and Myntra. The ecommerce brands come equipped with cutting-edge analytics capabilities and dedicated resources for comparing prices of products across stores and websites. Based on the price-linked research, registered sellers can then peg their price. Further, sellers get compensated for discounts offered by online retailers, leading to a win-win outcome, besides a level playing field for even the smallest ecommerce seller. Online shopping remains at the core of successful ecommerce businesses, which essentially focus on buying and selling of goods or services online. Given that ecommerce is the fastest growing retail market, estimated to reach USD 4 trillion in sales by 2020, the question “is ecommerce profitable?” is just an empty one! Before they build their online stores, these ecommerce businesses focus on what to sell and how to source it. Finding a successful niche is the key to mastering the markets. Keeping a finger on the social media pulse can also make sure your ecommerce business is heads and shoulders above competitors. Suggested products, reviews and YouTube videos can prove to be valuable for researching which niches to concentrate on. Once the store is up and running, all you need to know is spread the word. For this, social media remains a powerful marketing tool. Leading ecommerce brands like Amazon and even niche sellers have their own Facebook business page. Cashing in on Instagram influencers is another key to successful ecommerce growth. Leading ecommerce retailers target the right customers. For example, if the ecommerce business is selling fitness watches, the focus is on active people who visit the gym regularly. If diet formulas are being sold, your target is those trying to lose weight. As the business scales and demand grows, reinvesting profits makes sense. After all, ecommerce businesses will only sustain the growth momentum if they put money back into the business to cater to a new influx of customers. The hardest part of an ecommerce business is the generation of traffic, whereby most online retailers rely on exceptional marketing collateral to cut through the noise and build a powerful voice and brand narrative that resonated with customers. An effective inbound marketing campaign drives growth. Content marketing by these ecommerce giants focuses on the customer research journey and addresses the client’s pain points. 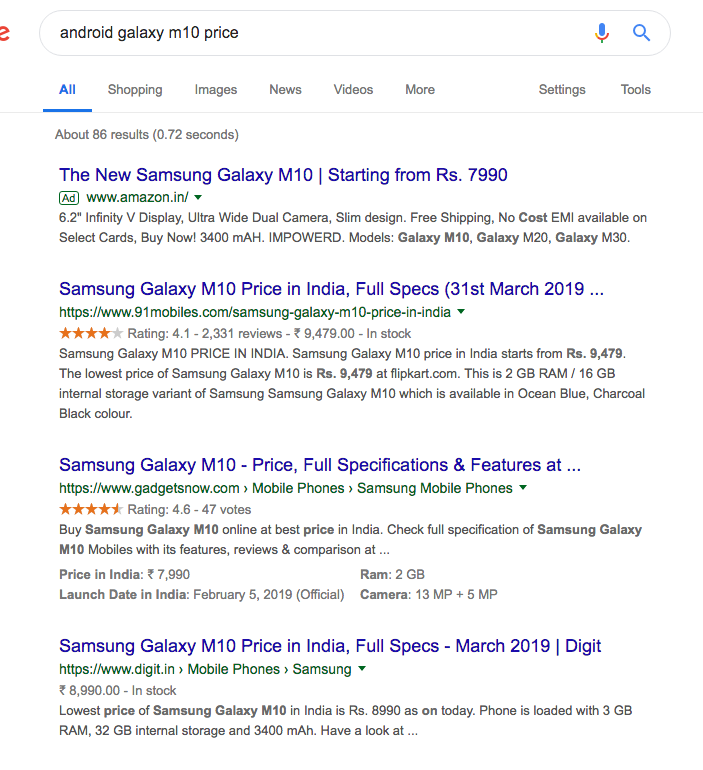 Another way ecommerce businesses make money vital to their long-term growth is through targeted ads that aim for customers and profitable niches right from the start. Using product specific ads has helped ecommerce companies to grow. Remarketing ads have also served as catalysts for the growth momentum. Ecommerce businesses need to be in more than one location online to propel growth. Growing the ecommerce business commences with diversification, backed by clear channels of distribution is the key. Whether it’s Amazon, or eBay, Walmart, Rakuten among others, companies that focus on optimizing and listing products on multiple channels win hands down. They also have registered trademarks and warranty when products are sold through authorized resellers. Clear distribution agreements also are in place with retailers and distributors regarding what they can and cannot sell including quality control, measures and anti-diversion. This remains an awesome strategy for growing your ecommerce brand. The more ecommerce processes are automated, the faster and easier it is to grow for the business. Setting up systems can be time consuming, but it’s well worth the effort. From order fulfillment to accounting and marketing, automation can make a huge difference to efficiency, bottom lines and profit margins for any ecommerce startup. For instance, sales data are automated from the ecommerce cart onto accounting software. Email follow-ups are also automated based on customer behavior and profiles. The more automated processes and systems are, the more ecommerce entrepreneurs can focus on high value growth activities for their business. Organic reach notwithstanding, platforms like Amazon rank products as well. So online retailers need to be clear on search marketing strategies relating to the store and industry keywords. Software tools, case studies, reports, metrics and data are equally essential. B2C ecommerce company Flipkart offers sale of products through multiple channels, such as websites, apps(mobile and web), tele sales, affiliate networks and social buying. Percentage commission depends on product and sale type. It can range across 5-20% depending on taxes and discounts as well. Flipkart is a Singapore registered company with Indian subsidiaries to carry out diversification and derisk the revenue model from competitors. The web portal is the prime source of income. There are listing fees and convenience fees levied alongside as well as shipping and delivery charges. Flipkart operates its own payment gateway, logisitcs, digital media and wholesale division. It also competes in the fashion category through companies like Myntra. Phone Pe is its mobile payment interface which directly competes with Paytm and other mobile payment apps. 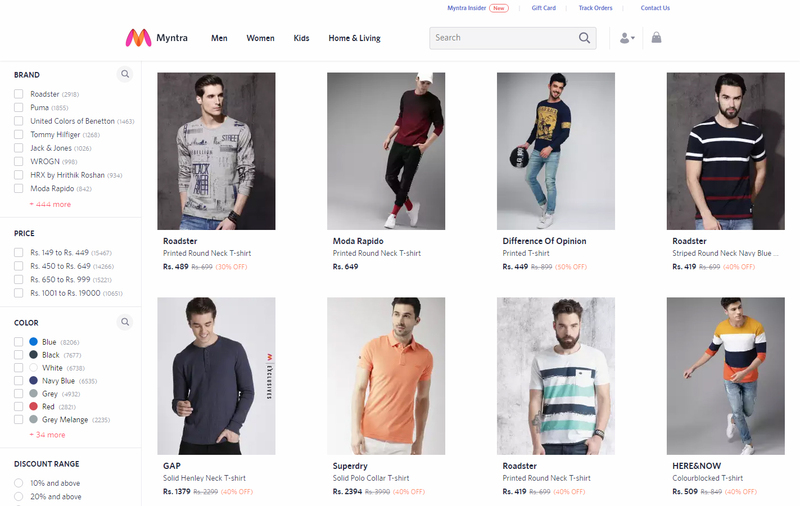 Flipkart also sells co-branded banner opportunities on its home page, besides targeted search results and physical products on an online platform, deriving ad revenue from this. Flipkart’s enormous user base, daily visits, page views offer incredible returns. A case in point is Flipkart’s partnership with Xiaomi in India. Driven by Jeff Bezos’s vision, a customer-centered focus is the defining strength and USP of Amazon. Amazon identifies strong trends to embrace these. Consider its focus on AI and machine learning to accelerate business growth. As per Similar Web estimates, Amazon notches 2.7 billion visits per day in the US alone. On an average, people spend more than 6 minutes on the site and look through as many as 9 pages to purchase what they want! Amazon is the 4th most popular ecommerce site in the United States. The focus for Amazon is on selection, price, convenience, and by extension customers. The website is designed to allow easy access. Amazon is also a manufacturer on the side, selling electronic devices like Kindle e-readers and Fire tablets. Deep discounts, free shipping courtesy Amazon Prime and a host of customer-focused initiatives make Amazon an exceptional ecommerce player. It also offers programs that enable sellers to grow their business, sell products on their sites and their branded websites and fulfill orders through Amazon. For its seller programs, Amazon earns fixed percentage fees among other types of compensation. Amazon also serves developers and enterprises of different sizes through its AWS or warehousing system. Broad set of global compute, storage, database and service offerings are available. Through its Publishing service, the ecommerce business model it follows lets authors and publishers choose a 70% royalty option and make books available through Kindle and Amazon Publishing. App developers, musicians, filmmakers further publish and sell content on Amazon. In a nutshell, Amazon works to generate value for several stakeholders. Amazon makes most of its revenue from product sales. Products have high costs, so margins Amazon makes on them are thin. Their operating income is powered by services like AWS, Amazon Prime and seller services. Amazon’s business model derives its profits from Amazon Advertising, Amazon Prime, Amazon AWS which run with higher margins. The online stores are a foundation for further growth. Amazon collects payments from customers fast, then paying vendors with longer payment terms. The short term liquidity is used by the ecommerce giant to invest back to speed up its growth. Through this, Amazon has become a disruptive force, offering agility for the entire industry. Amazon has doubled ad revenues from the first 9 months of 2017 as against 2018. Revenues went up from USD 2.92 billion in 2017 to USD 6.72 billion in 2018. Compared to Facebook’s USD 38.37 billion and Google’s more impressive USD 83.68 billion, Amazon is still an emerging player. But given that it runs a diversified ecommerce business, with several revenue streams, Amazon has donned many avatars. It’s mantra for success is its ad business which netted USD 6 billion in revenue in the first few months of 2018 alone, besides its impressive infrastructure. Amazon Prime remains a powerful business catalyst as does Amazon AWS, the latter being worth USD 17 billion in 2017. Affiliate links, online ads and sponsorships can bring in revenue. But building an entire business with diverse sources of revenue in the ecommerce industry requires innovation. Ecommerce is a common business model for online retailers and companies to make money. As long as margins are managed and processes are scaled up, these businesses thrive and flourish. Jeff Bezos, who founded Amazon, is quoted as saying his online behemoth strives to be “an ecommerce destination where customers can find and discover anything.” At a larger scale, technology is the answer as margins will grow, when ecommerce prices come down, instead of shooting up. Companies that scale besides offering deep discounts in the long run are succeeding in the ecommerce industry. That is the secret sauce behind their growth and the recipe for their success! Instagram remains the top social media marketing tool for startup brands. Large follower counts and massive engagement rates show the Instagram account plays a vital role in building an audience for your brand. The higher engagement rate is, the more traffic can be driven from the Instagram page to other social media platforms, making it the perfect platform for startups. You just need to optimize social media posts with videos and photos to create unique marketing messages for your niche. The groundbreaking popularity of Instagram is obvious. Consider the numbers. The Instagram user base exploded from 90 million users in 2013 to 800 million active users per month in 2018. Instagram is also emerging as a favorite social media platform for different age groups, according to the US Pew Research Center. Why Instagram is for More than Just Influencers? Instagram marketing tips 2019 saw the emergence of are focused on more than just influencers. While Instagram is the best platform for celebs, offering quick and easy to ways to share updates, instagram marketing is quickly catching on for businesses. Another unique attribute of Instagram is its Stories feature. Instagram marketing for business startups is further advancing on account of hashtags. 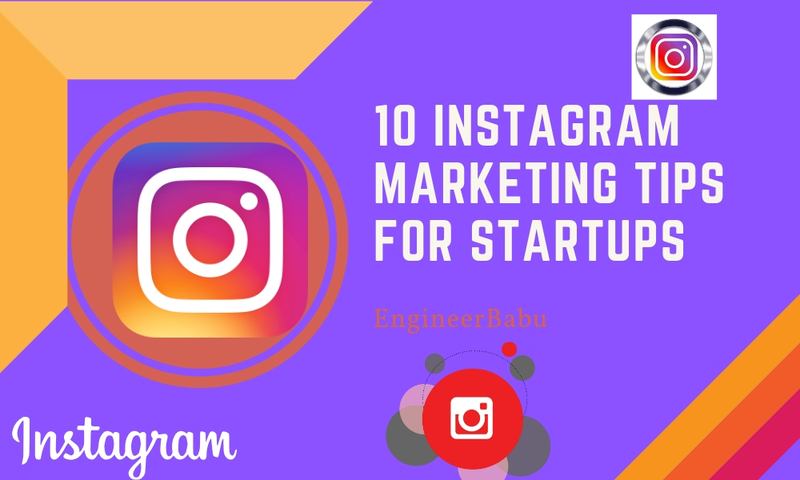 Startup marketing strategies are increasingly focused on Instagram to market products to a wider, more interested audience base without spending a big budget. Choose the best fit for your brand from these Instagram marketing strategies and help your startup to stand out from the crowd! Creating hashtags is integral to expanding your brand’s reach and using specific or general campaigns to target audiences. Startup marketing strategies should focus on relevant hashtags. The aim is to set up the brand name, as well as punch line hashtags. Consider how top fitness brand Nike is using top hashtags like #JustDoIt and #Nike. This makes it way easier for people to locate content relevant to your brand. As your startup gains popularity, more people will use your hashtag and buy products. Your startup can use as many as 30 hashtags in a single post. The hashtag should be the first comment in the post. Popular hashtags can also enhance the way content can be discovered. Top hashtags for your niche are easy to locate. Type in the keyword in these tools and the list populates some of the most popular hashtags associated with the particular keyword. Remember that marketing images and videos with hashtags get more comments, likes and views. So create your own startup brand’s hashtag and watch your business grow. It could be anything from the brand slogan to a CTA or simple phrase. The hashtag should focus on promoting your business. Create your own hashtag and earn followers besides making your company brand-building unique and special. Share Instagram content on feeds to engage and connect with other brands on social media, too. With an average engagement rate of 4.21%, Instagram posts drive 50x times the engagement of Facebook posts and 120x times that of Twitter followers. This platform is clearly one of the leading choices for leveraging startup marketing strategies. Custom hashtags can drive audience participation and trigger unprecedented social sharing. Instagram Stories provides an amazing user experience. Upload off-the-cuff images and videos to your Instagram Story and create a buzz in 24 hours. Start new stories, because as Seth Godin, the well-known marketing guru says, nothing is as compelling and powerful as a “good story.” Instagram Stories offer an excellent avenue for building a powerful brand narrative. Attain business goals with Instagram marketing using this compelling feature. Through Instagram stories, you can even experiment with different types of content such as short videos, boomerang images, regular photos, live or even rewind videos. Add face filters, text and stickers to edit images on the move. Instagram Stories can help your startup to target new audiences. Calls-to-action can be useful for promotional strategies, too. Your Instagram account is like a mini-TV channel for the brand, encouraging you to literally think out of the box. Create viral content online using this feature. Leverage analytics through Stories Insights in your Instagram business account to check views, engagement, shares, likes, comments and more. Working with Instagram influencers generates a massive buzz for products or services. A TapInfluence and Neilsen study found influencer marketing generates over 11x times the ROI or returns on investment, than other digital media formats. Further, the content is visually driven and widely shared in terms of well-captured photos and short videos. Leveraging Instagram marketing by harnessing influencers helps to create a positive identity and stellar reputation for your startup online. Instagram influencers can use videos, photos and targeted hashtags to help you make the right purchasing decisions. Follower count and engagement are two important metrics you should evaluate influencers on before diving in. Video marketing remains a powerful startup marketing tool. Generate leads and promote your startup business by sharing Instagram videos. As per Cisco’s research, close to 80% of online content will be videos in 2019. Videos build trust and credibility for your startup brand. Offer behind-the-scenes look or sneak peeks of your product with notable features. Or you could also create a video tutorial. Creating short videos can work tremendously well. Short commercial videos on Instagram can inspire and engage with social media users. Use visual chaining and show how products or services are crafted. Posting exclusive deals on Instagram offer incredible ROI. Offer discounts for Instagram followers and special promotions, deals, giveaways, contests and freebies. Market your brand by running selfie contests for the Generation Me users. Niche hashtags can help you to generate a buzz around deals. For solid followers on Instagram, give your profile a consistent theme. Instagram is far more likely to attract followers, when you have specific themes to showcase. Instagram’s influence stems from its ability to allow startup marketers the chance to develop a brand personality. It’s not just about likes or followers, on Instagram. Startups also tell stories and showcase compelling messages through Instagram. Showcase your startup’s creativity through Instagram posts, highlights and stories. From the format of photos to color choice, creative video effects and unique highlight icons, there’s a lot you can do with instagram marketing. Add animation or special effects to Instagram stories. Create outstanding content to attract followers to your business page. For your Instagram audience, you can sell startup products as Instagram goods. Turn Instagram shots into calendars. Experiment with different techniques, but tap the innovation of this platform. Work on visual messages that utilize high-definition images and compelling taglines or descriptions, because creativity really sells on Instagram. Instagram is one of the most amazing social media platforms to share products and boost your sales. Share photos of customers, events, discounts and more to create an awesome impact. When an Instagram page has a base, running a Live Video is the perfect way to connect with followers. Ask the right questions or build a connection. Share news about products or services, new releases, additions to product lines. You can even ask for feedback from Instagram followers. With a user base of 700 million in April 2017 and growing, this is the perfect platform for connecting with a global audience. Presently, those with business accounts on Instagram can even run ads. Startup marketing strategies for businesses starting out should definitely consider this form of Instagram promotion. Native ads work best. There are multiple advertising options for Instagram account holders to choose from. There’s the photo ads and video ads which are standard Instagram posts. Carousel ads are slideshow ads for multiple images. Perhaps the most effective Instagram ads are those displayed at the top of the feed or the Stories ads. Instagram research reveals around 60% of its users look for new products while 75% perform positive actions after reading posts. The power of Instagram is that it offers maximum exposure with minimum time, money and effort. Filters are also present for promoting ads. Great conversion ratios are easily achieved, with this powerful form of advertising. Keep an eye out for promotions, posts and ads. Track how many views your posts generate and which audiences like it the most. Numerous tools and analytic metrics are available to track, monitor and analyze Instagram posts. Startups can channelize promotional strategies using this feature. Instagram has a massive ecosystem, so your message reaches a wide audience. After the algorithm has been updated, organic reach has touched zero on Facebook. But Instagram is all about organic reach besides sponsored ads. Instagram’s organic reach and content can effectively convey your startup’s mission and vision, boosting brand reputation in the industry. Unleash the full potential of your business using this platform. Research shows photos and videos have higher engagement rates than text posts. Brands can tap this social media channel to stay ahead of the curve, market and diversify creative directions, gain online visibility and even harness user-generated content to their advantage. Powerful features on Instagram offer a chance to interact with the audience and provide a human touch to relationships. Express your message in compelling ways. Instagram remains a game-changing social media platform, creating level playing fields for startups. But startup marketers must focus on solutions and not empty marketing messages. Add value in seamless ways and utilize visual content to meet user requirements. Audiences prefer authenticity, so focus on real-time updates on Instagram. Your page should deliver value through visual content viewers would not be able to locate elsewhere. For Instagram marketing success, your business page should deliver value through visual content viewers would be delighted with. Do not underestimate the power of content. Offer value and creativity in ways that capture attention. A picture may be worth a thousand words, but communicating effectively is also the key to sharing your brand story and generating a buzz online. Reach wider audiences and measure your success. Social media management tools for Instagram can help in scheduling posts and campaigns beforehand. Social media analytics can help in measuring results. Clicks, likes, comments, shares – engagement in all its forms is important. Instagram is the ideal virtual platform for startup marketers, whether you’re looking to generate traffic or spread brand awareness. Identify and cash in on opportunities to stay connected, race past competitors and spread word-of-mouth messages that create an impact. Startups looking to grow their reach and expand their business can definitely bank on Instagram. The secret is to focus on resonating with the audience through creative, authentic promotional posts, videos, images, stories and ads. Ultimately, Instagram is about creative storytelling and for the startup marketing specialists, the key takeaway is to never underestimate the power of strong brand narratives. With Instagram, tapping the right niches and clicking with your audience was never easier. Your audiences can see and feel the spirit associated with the brand. In the digital era, personalization and hyper-relevance have taken on a new meaning. Instagram makes it possible to connect one-to-one with customers. For startup marketers, that is ultimately the eventual goal for building a brand that speaks for itself. In Garhi Malehara, a small town near Khajuraho, Madhya Pradesh, Aditi Chaurasia was born. A rebel at heart since her early days, she opted for an English medium Co-Ed school even if it came with a wave of resentment and criticism from relatives and neighbors alike. After finishing school, Aditi tried her luck in medicine, but luck didn’t favor her and she lagged behind by a small margin. With the dawn of 2009 things started looking up for Aditi. She met her then friend, now a business partner and soon to be life partner Mayank. Mayank encouraged her to follow her heart and pursue her entrepreneurial dreams and soon began her first venture – Titliyan Creation, a handmade cards portal. Unfortunately, despite the tremendous success of her first project she had to give it up when it was at its peak. Success was kissing her feet, yet Aditi had to shut down Titliyan Creation due to certain personal reasons and the butterfly withered back to her cocoon. Feeling stonewalled, Aditi succumbed to the societal pressure. In the days that followed Aditi juggled between jobs yet, her heart was set on the much-coveted entrepreneurial path. The teaching gig she undertook became a source of constant dissatisfaction and dejection. She knew she had to do something, as giving up wasn’t an option for this fearless rebel. With Mayank’s technical skills and support by her side, she decided it was time to charterer unexplored territories and thus the dynamic-duo conceptualized ‘EngineerBabu’. EngineerBabu is an IT services company that develops websites and mobile applications. 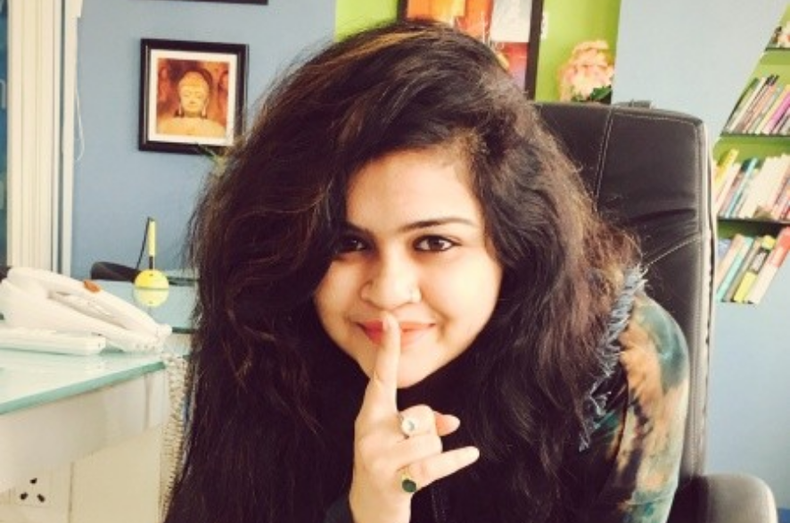 In the early days of EngineerBabu Aditi kept her work under wraps. However, soon the company launched by 2 founders blossomed into a team of 50. Aditi’s name echoed in renowned platforms including but not limited to Rajasthan Startup Fest, Startup Conclave (Nepal), Women Tech Makers by Google. She was written about in popular online as well as offline portals like The Cosmopolitan, Asian Entrepreneur and many more. Amidst all the success and fame she still longed for support from her near & dear one’s. The newspapers were talking about her accomplishments and she was presented the Leadership award of excellence By DAVV University. As luck would have it her parents saw an article in a popular magazine featuring their daughter. The conservative mindset was challenged and they began to realize that their daughter was spirited, fearless and above all a SUCCESSFUL ENTREPRENEUR. From medicine to MBA she shuffled through many streams, but in the end, she listened to her heart and today she’s counted amongst the top 100 women entrepreneurs and top 25 Women Influencer by popular online platforms. To steer women towards a career in technology Aditi has come up with another remarkable venture called SheConnect that trains and encourages women through workshops and training sessions in IT and tech domain. Ellen J. Barrier’s famous quote – “Her power of perseverance is as that of an eagle. She soars above her challengers.” rings true when we see it through the eyes of entrepreneur extraordinaire – Aditi Chaurasia. Also, if you are from Indore, that’s where SHEROES will be hosting its first Summit to celebrate #takecharge women and the joys attached to taking charge. Physicians are notorious for their handwriting. Patients face a tough time going through a paper-based prescribed medication. Nearly a decade ago, Electronic Health Records (EHR) brought a change in the way doctors prescribed treatment. The EHR platform enabled them to update medication details. With the introduction of regulatory acts like HITECH (Health Information Technology for Economic and Clinical Health) and advancements in health IT solutions; pharmacists could receive prescriptions electronically. This act even made e-prescriptions mandatory in certain health situations. Combining providers and pharmacy systems reduced medication errors and paperwork. Electronic prescriptions have been an essential part of the ambulatory care unit enhancing safety, quality, and timely healthcare processing. E-prescriptions are a computer-based, electronically filling of prescription forms and transmission of same from the caregiver to the pharmacy. The electronic prescription substituted paper and faxed prescriptions owing to its accuracy and on-time care delivery features. For any ambulatory care unit, a significant portion of prescribing happens according to the outpatient setting (meaning- facility that does not require hospitalization of patients). Outpatient setting views a considerable number of patients that comes on a daily basis for check-ups and thus this setting holds a great need for e-prescriptions. E-prescriptions have gained tremendous popularity and are growing rapidly not because of the technological advancements, but because of the significant benefits it delivers to caregivers and patients. Though still at its nascent stage, e-prescribing is at its highest in the United States. Some controlled substances prevented physicians from e-prescribing, but after DEA (Drug Enforcement Agency) implemented rules for e-prescribing of controlled substances, the physicians and pharmacists started utilizing the same. Many hospitals and healthcare establishments have switched to e-prescriptions for patient treatment. Initially, e-prescriptions were termed as a no-brainer, as it was computer ordered and people were doubtful whether they could read a physician’s handwriting. The records and reports lead to a net positive effect of e-prescriptions; as they fulfill medical adherence. Lucidity is one of the most critical element of e-prescriptions that delivers an expansive patient safety advantage. E-Prescriptions have come a long way. AI controlled chatbots are increasingly being adopted for prescribing medicines for general ailments. In the beginning, e-prescriptions were designed to assist pharmacies to save the delivery time of staff and other overhead costs along with fast & easy medication process. But gradually, it seemed that electronically filling of prescription forms, and sharing the same through electronic medium proved valuable in streamlining efforts and enhancing process operations at the pharmacy. As soon as these benefits came to the knowledge of the pharmacists, they were quick to adopt health-related IT solutions that manage e-prescriptions. It was by the year 2008 that the pharmacies were open to e-prescriptions. Conversely, care providers were at a backhand to embrace e-prescriptions, as the process did not seem quite effective for them as it was for pharmacies. But looking at the decision support and timely care features offered by e-prescription solutions; physicians too made their mind to adopt the same. E-prescriptions evolved as it offered providers with enhanced patient safety by making better clinical decisions, reduced costs, and an improved workflow. The World Health Organisation reported that more than 50% of patients around the world do not complete their prescribed medication, which had a negative impact on patient health contributing to prolonged hospitalization, re-admissions and even leads to patient death. Introduction of e-prescribing has managed less legwork for patients making it convenient for them to get their prescription. E-prescriptions have improved medication adherence of patients. E-prescriptions can either be standalone applications or platforms for ambulatory care units or can be integrated with the existing Electronic Health Record (EHR) systems. The reason many healthcare providers consider the integration of e-prescriptions with EHR is that it contains patient data such as clinical information, lab orders & pathology results, and clinical decision support system. If an e-prescription is a part of EHR, it becomes convenient for physicians to access all patient information and at the same time, he can share e-prescription with the pharmacist, ensuring efficacy and accuracy of treatment. 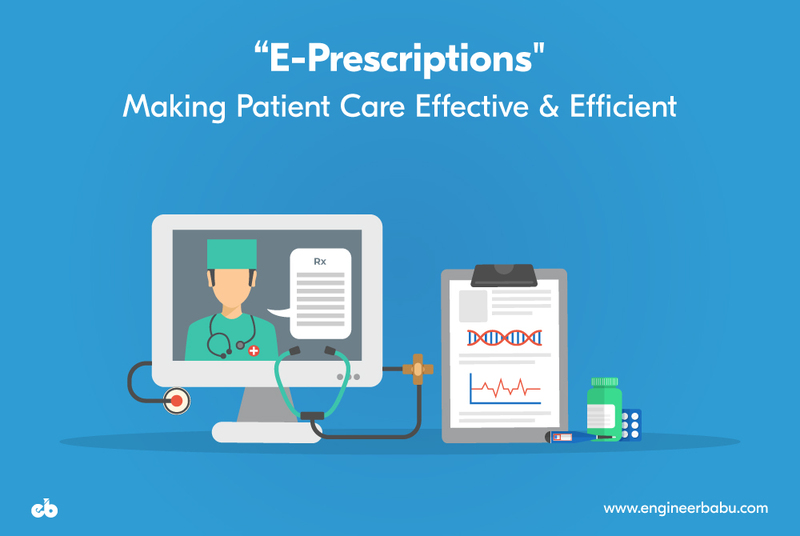 Enlisted here are some of the many key benefits of e-prescribing. Many times it has happened that pharmacists tend to dispense wrong medicines due to incorrectly reading the handwriting on prescription and the pharmacists delivered medicines which sounded familiar to one mentioned. For example, Brillinta and Brintellix are different drugs but sound familiar, while the former is used for the coronary syndrome, the latter treads depression. If these two are confused, may lead to patient death or any severe symptom. E-prescriptions in such cases are of a positive impact. E-prescription can eliminate medication errors that occur due to handwriting mistakes. Also, e-prescriptions allow physician and pharmacists to access a patient’s previous medication and reduce the chances of dispensing wrong medication. Almost all the drugs available in the market comes in multiple forms and in various strengths. Traditional prescriptions always suggested the combination of drugs and the dosage details. However, e-prescriptions caregivers are prompted to fill in the complete form which includes details like, dosage, strength, route, and frequency of medicine intake. The e-prescription form also provides a drop-down list with a dictionary of standard drugs and standard parameters to select from; to check dosage and additional therapy alerts. E-prescription applications assist in lessening the risks linked with filling & generating prescriptions; helping in better clinical decision making. Genomics is the best example of a robust clinical decision support system. Genomics determines the effectiveness of a prescription of any patient based on their genetic codes. Tools like this also perform disease profiling through which it is easy to identify any patient who is at risk of developing a particular symptom. This helps physicians to make informed decisions at the point-of-care. Traditional prescriptions or paper-based prescriptions may tend to lose medication history, making it difficult for clinicians and physicians to track medication details. Also, the entire process of tracking medical records was manual which made it difficult to reconcile medication information. With e-prescriptions, a patient’s medication history can be instantly accessed. Every drug to drug interaction is saved in application memory. E-prescription applications fetch data from pharmacy benefit management and EHR platforms, to speed up e-prescribing. E-prescribing assist physicians in gaining full visibility of the allergies and previously prescribed drugs; as everything is documented & stored within the application. E-prescription also provides alert to the providers if the newly prescribed drugs may cause any severe symptoms. Instant notifications through e-prescribing help physicians to provide alternate medication, suggest substitute therapies and treat any allergies on time. As mentioned at the beginning of this article, traditional prescriptions do not guarantee patients are completing the prescribed medication. Handwritten prescriptions provide no effective method to track if the prescription is fulfilled. Some other reasons could be patients have lost the paper, cannot afford any prescribed drug, forgot to fill the prescribed form or might have started feeling better and hence stopped medication. E-prescribing helps physicians to track whether patients have filled prescription forms and if in case it is not done, the providers can counsel on medication management. Also, e-prescriptions allow providers to understand the frequency of filling prescriptions for any particular controlled drug so as to stop possible drug mishandling. 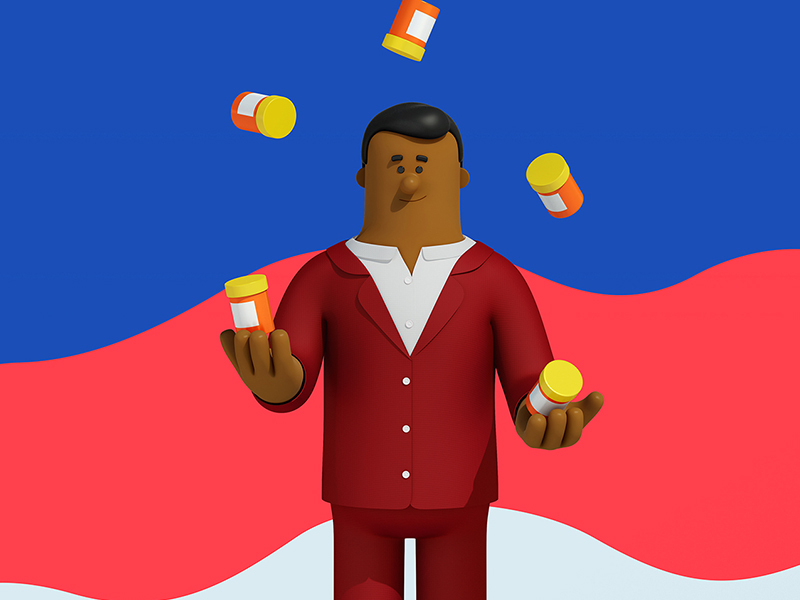 When patients receive prescriptions from the doctor chances are that they may forget to fill their medication intake, may never fill details or may have lost the paper. In such cases, the patient needs to, either revisit the physician to rewrite the prescription or visit the pharmacy to get the details from pharmacy management data. With e-prescribing, the prescriptions are directly sent to pharmacy leaving no chances of errors from the patients. E-prescriptions allows expediting the filling in prescriptions and reduced visits to pharmacies. Since refills are faster, there is less waiting time for patients to hear from physicians, and thus improving process satisfaction. Traditional prescriptions never spoke about controlled drugs in single-paper prescription history and required a separate prescription for controlled substances, that went to special mail-order pharmacies or retail outlets. The entire manual process of managing prescribed controlled drugs and conventional drugs was very tedious. E-prescribing software allows providers to send e-prescriptions to special mail-order pharmacies, through the same workflow as the regular drug pharmacies. The single workflow interface makes the process more efficient, enhance patient satisfaction, support medical adherence and create patient convenience. Prescription refills requests are a burden for the healthcare staff. The clinical staff and physicians had to send several follow-ups to patients for a prescription refill, taking a lot of time to and fro. Sometimes, despite these efforts, the staff does not receive filled prescriptions and end up creating new ones. E-prescription enables healthcare providers to review, verify and share as many refill information within seconds. Also, the e-prescriptions allow staff to perform an emergency refill in case the patient is in transit and left with no medication. The notifications and alert feature in e-prescribing software make healthcare provider track any adversarial reaction of drugs on any patient that leads to hospitalization. E-prescribing reduces re-hospitalization as it ensures timely filing of prescriptions. Medication adherence is the proper conception of treatment by patients. Patients tend to stop taking medications once they feel better or may end up reducing the dose of prescribed medication. 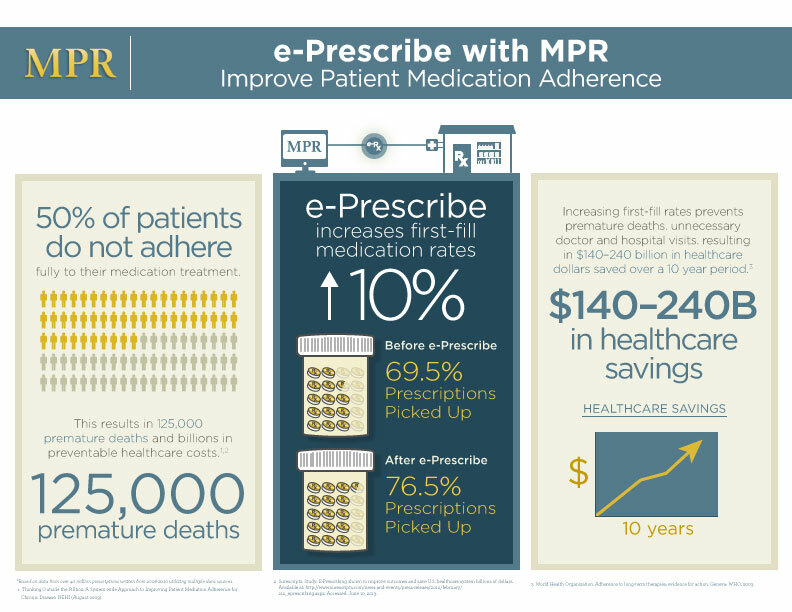 E-prescribing enables faster filling of prescriptions increasing better medication adherence. Traditional prescriptions and outstanding medical bills need to accompany together for insurance claims. Manual verification of prescribed drugs and billing invoice of similar drugs takes a lot of time and effort. E-prescribing software tallies the prescribed drugs and pharmacy invoice and authorizes the purchase for insurance claims. 1. Will the physicians use e-prescribing along with EHR? EHR allows the physicians to update patient medication details. However, it cannot transfer the same information to the pharmacy for faster treatment. Thus, clinicians & providers are less likely to use e-prescribing. But if e-prescription software is integrated with the EHR system, the caregivers will definitely intend to e-prescribe as it enhances the quality of patient care. 2. How secure is the health information network? This is another critical question to check with the software network provider about system and security. It is extremely essential that the network is compliant to HIPAA and other regulatory compliance so that sensitive patient information is kept protected. 3. Which security network is used by pharmacists? Since the pharmacies, retail and mail order outlets are the external elements for hospitals and healthcare givers; it is essential to keep a tab on the network they are connected through. E-prescribing is sharing of sensitive drug details pertaining to specific patient-id. Hence one should ensure secured network for implementation of EHR and integration of e-prescription solution with same. 4. What is the acceptable transaction fees for any payment done on a platform? When a patient receives medication from pharmacy through e-prescribing, some networks charge for transactions done on platforms or directly charge medi-claim providers for the same. One should clarify the charges before implementing e-prescribing with EHR. 5. What are the steps to suggest e-prescription to patients? The elderly population is less likely to go with e-prescriptions as they are more comfortable with paper-based prescriptions. It is essential for the caregiver to train the elderly patients about the e-prescription use and benefits. Even if the above considerations are taken care of, there still lies a debate on the usefulness of EHR if e-prescribing is added as a vital functionality. The healthcare staff feels that the utility of EHR may reduce with the arrival of e-prescriptions. But since it is about improved patient care and quality health services; the hospitals and clinics have thoroughly adopted e-prescribing. The collaboration of pharmacists and healthcare providers have engaged the patient as an essential component. E-prescriptions shared with patients via email and other channels; provide patients with more flexibility to shop from a pharmacy of their choice. There has been a significant gap in healthcare practices due to non-adherence. With e-prescribing, the system builds a bridge between providers and pharmacies to improve the overall process and ensure patient safety. E-prescription processes also provide transparency in the price of the prescribed drug and re-routes a prescription to some other pharmacy if the patient is not satisfied with pricing. E-prescribing makes the medication management process effective and improves ambulatory care workflow. E-prescribing is changing healthcare delivery by reducing prescribing errors and saving on healthcare costs. EngineerBabu has a track record of designing and developing numerous healthcare products. We have been able to successfully automate 120 hospitals with our solid expertise in this domain. Consult us, if you are looking for a tech-partner who can take your product to the next level.